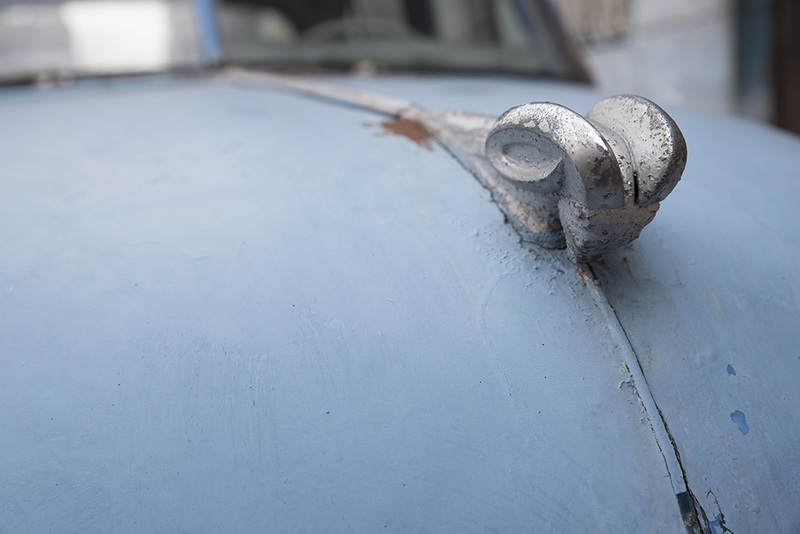 What comes to mind? 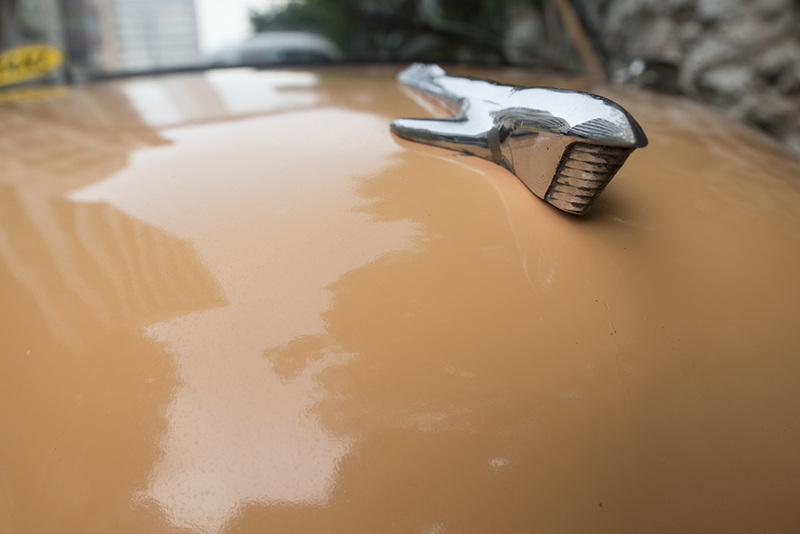 For me, cars. 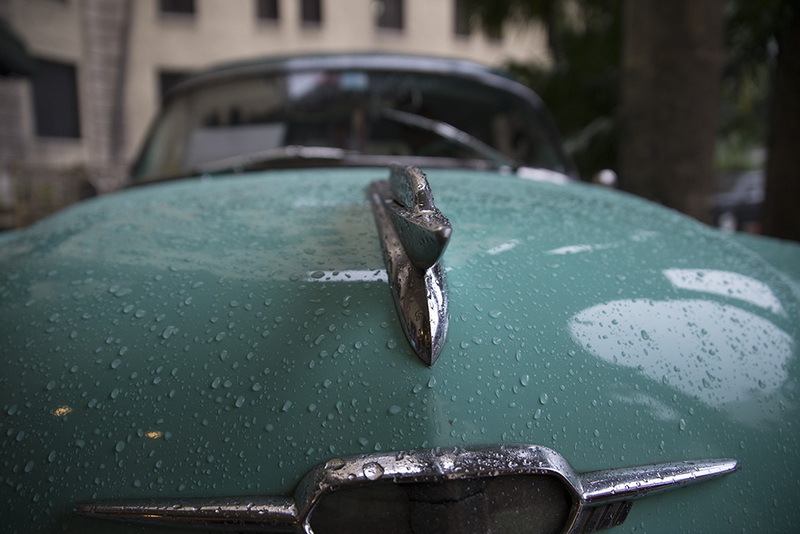 Classic cars. 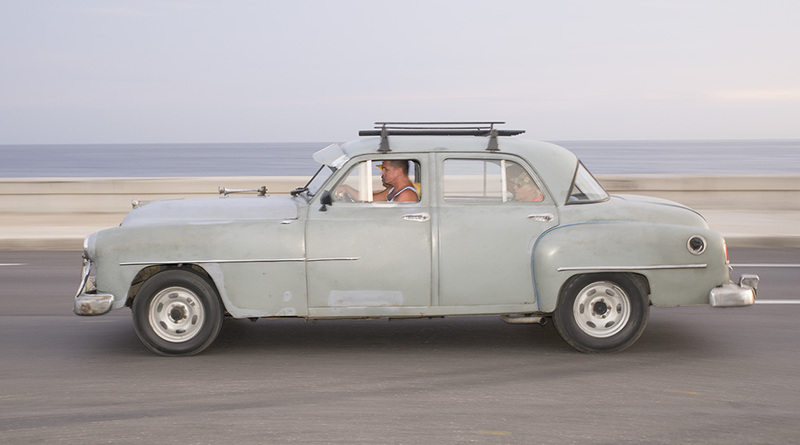 And when I booked my trip to (legally) visit the Caribbean island, it’s the first thing I thought of. 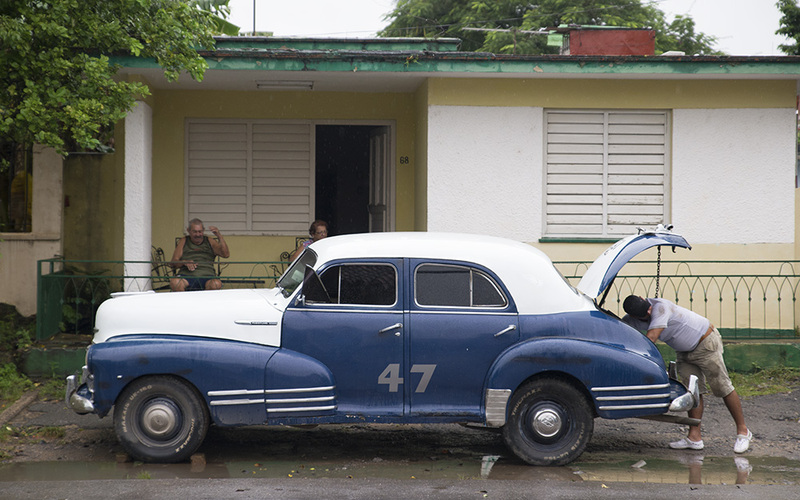 As a birdwatcher visiting a country that is home to nearly thirty species of birds found nowhere else in the world (including the smallest) that’s a significant admission. 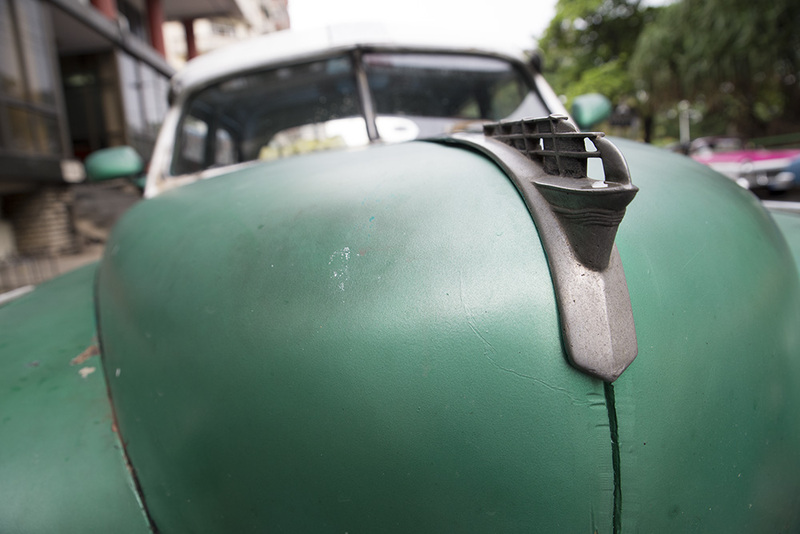 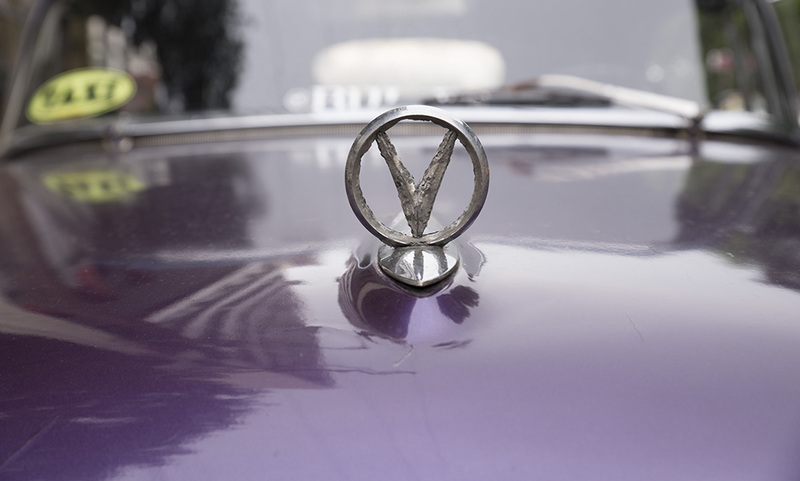 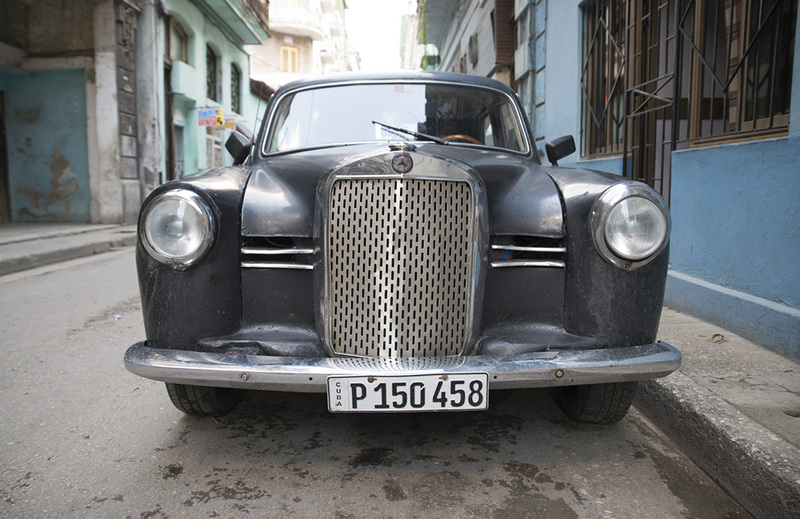 But, in terms of scarcity, the automotive ecosystem of downtown Havana, comprised of belching decades-old steel organisms, rivals anything in my field guide to Caribbean birds. 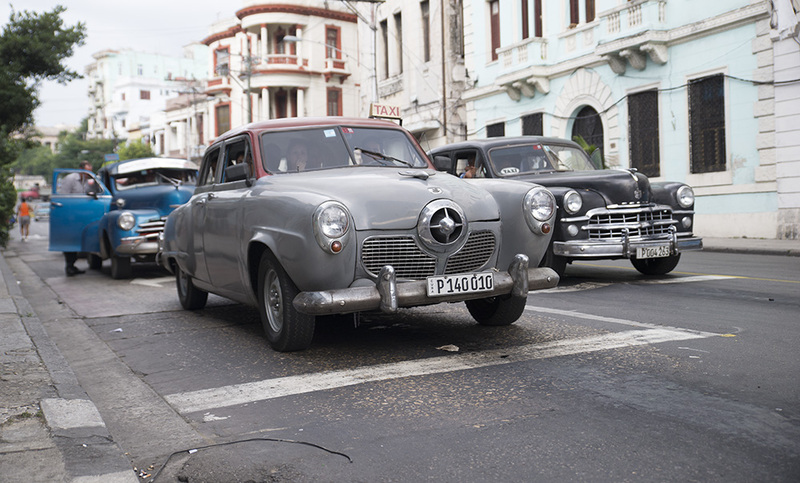 Sure, I was excited to see the Cuban Trogon, but I couldn’t wait to see the same Detroit line-up that my dad did in the 1950’s. 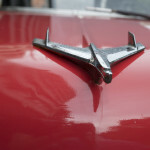 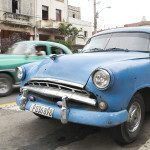 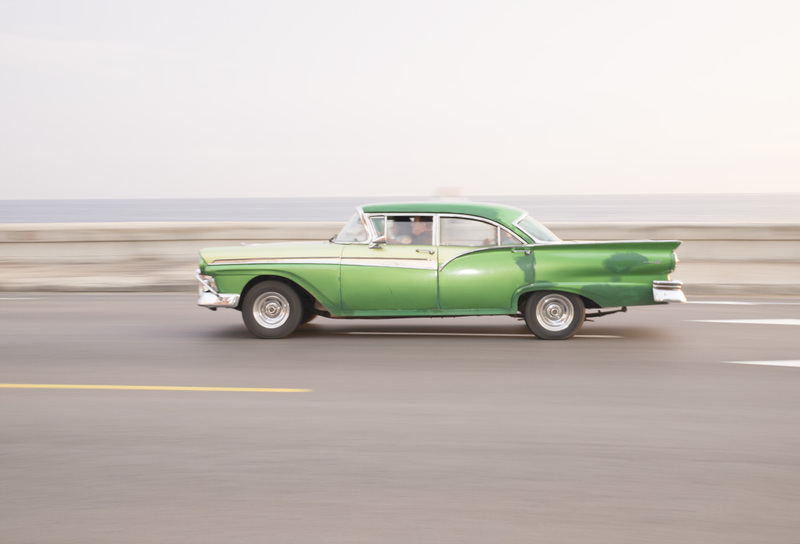 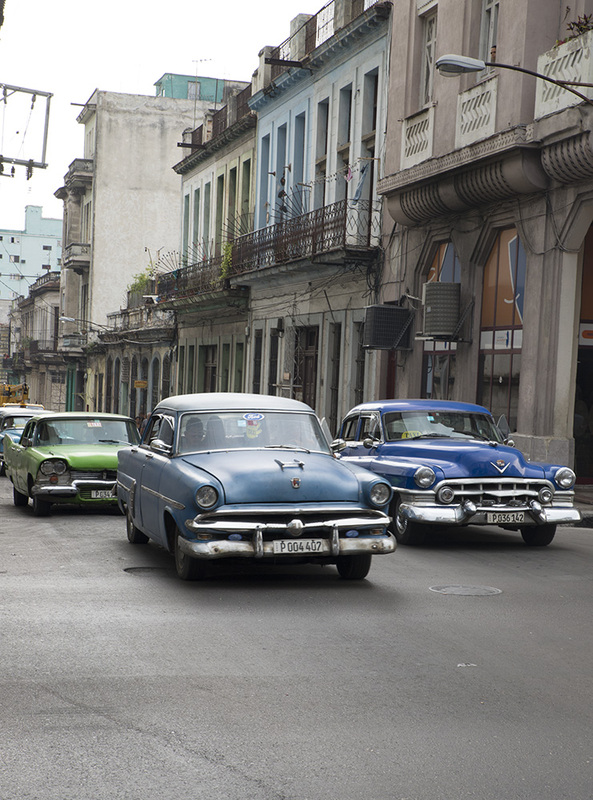 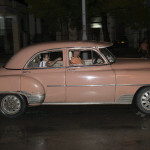 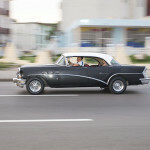 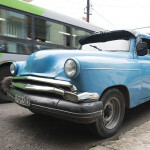 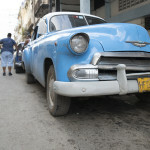 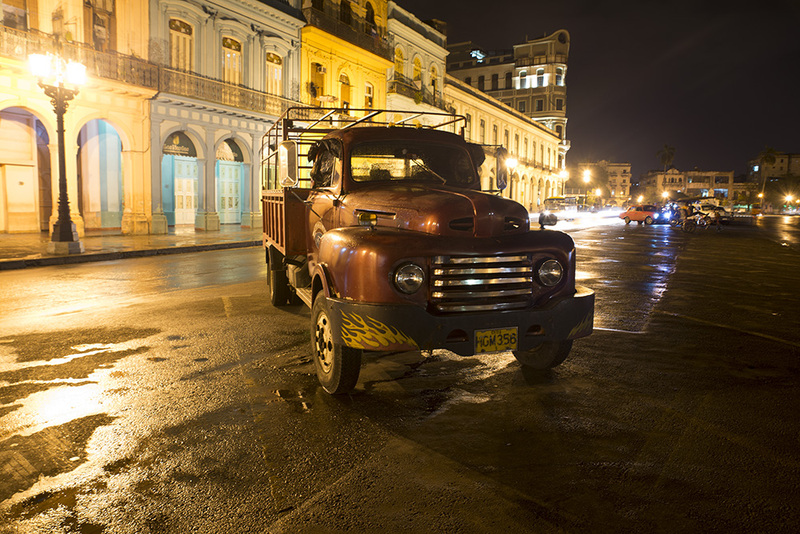 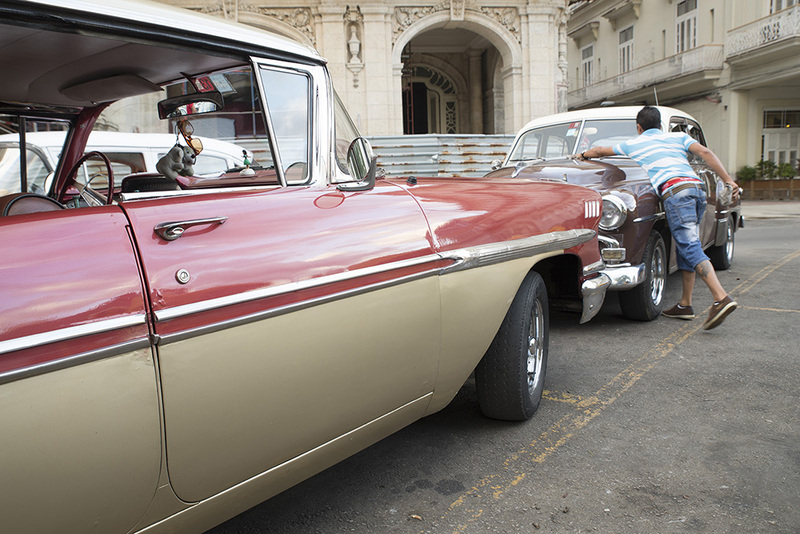 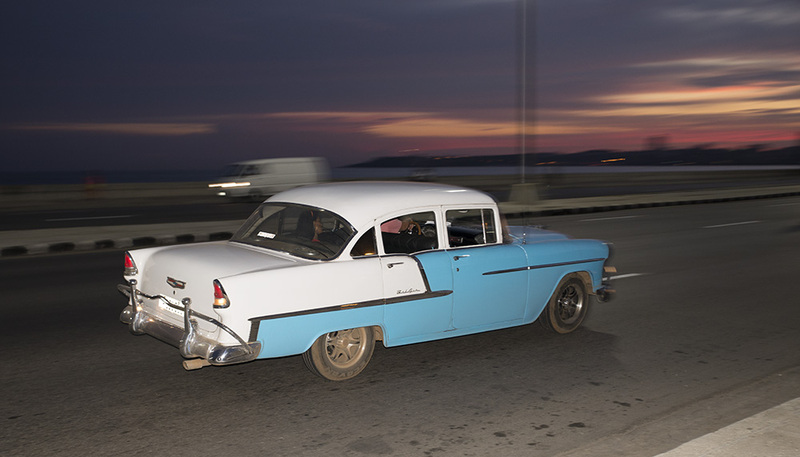 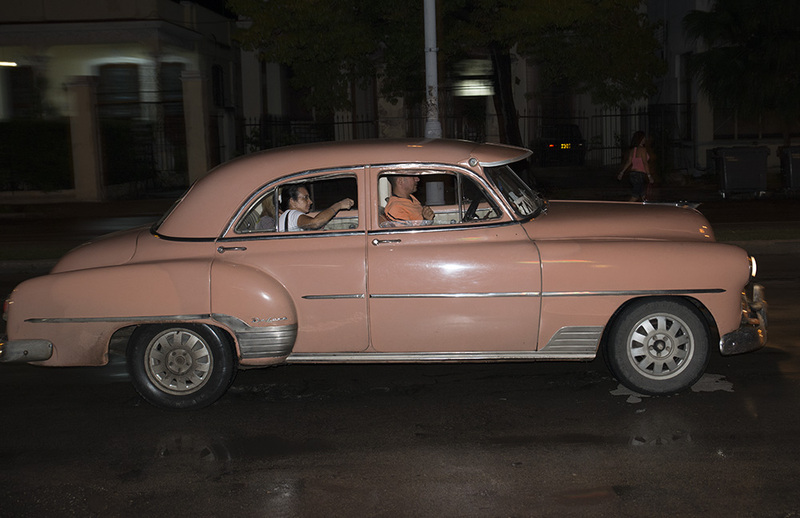 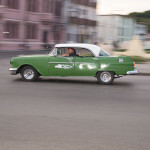 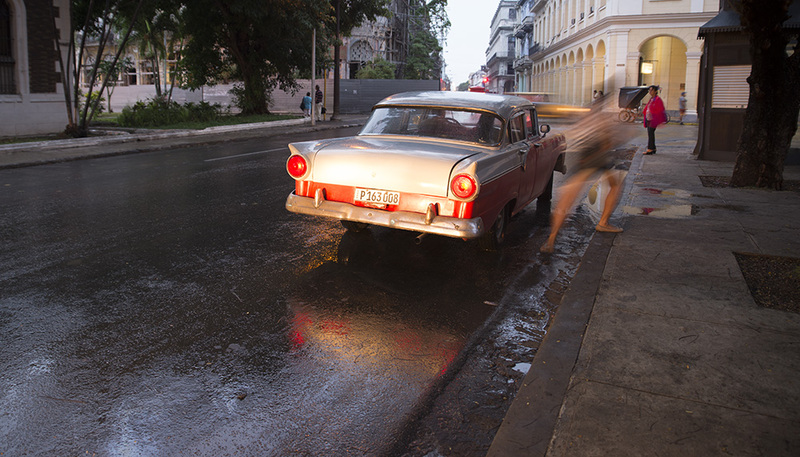 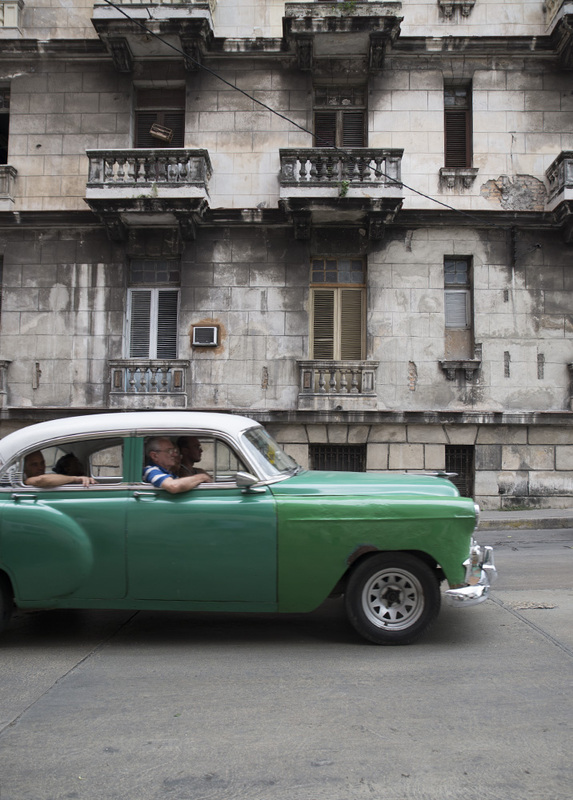 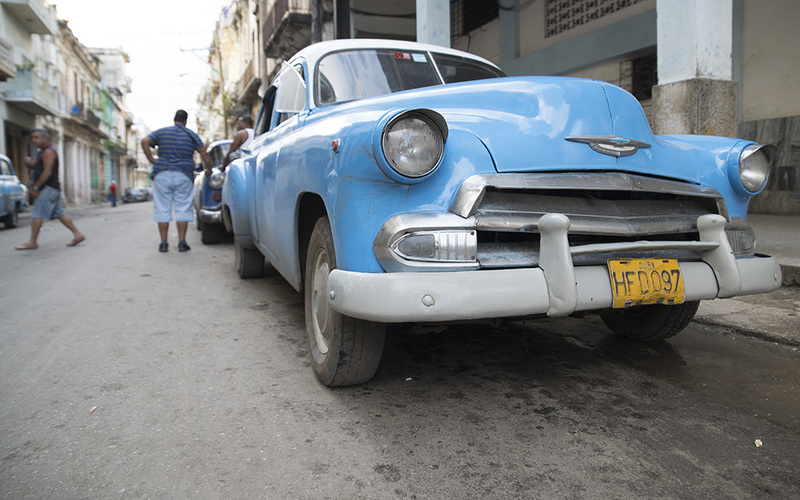 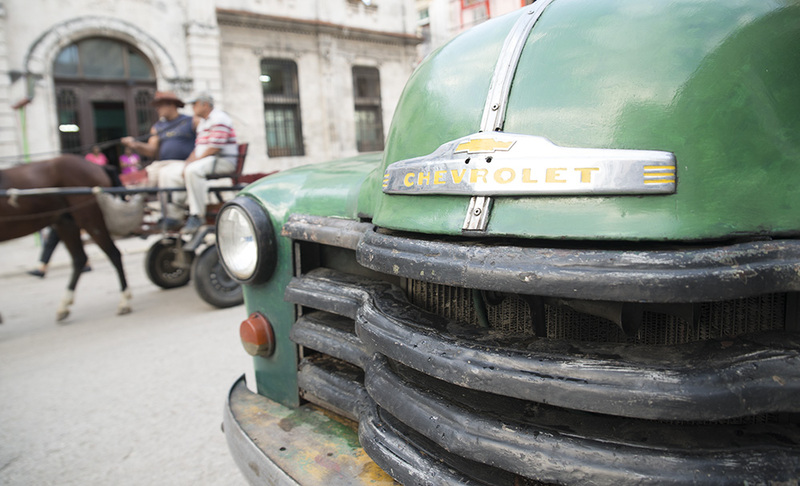 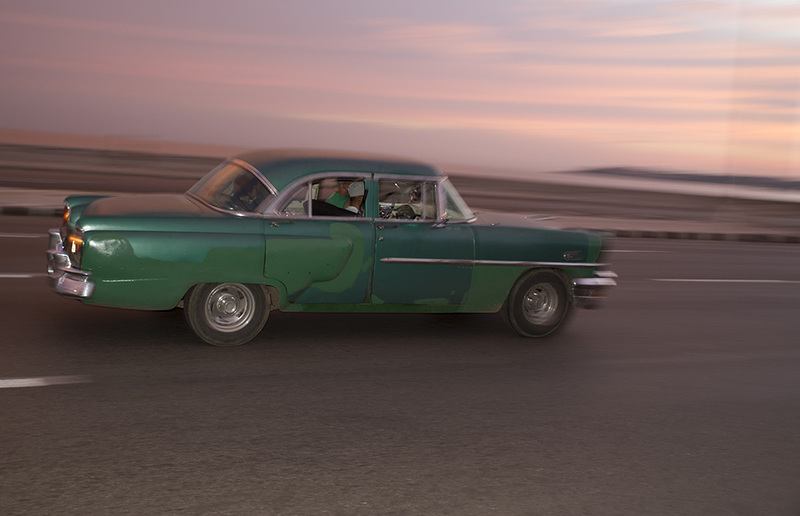 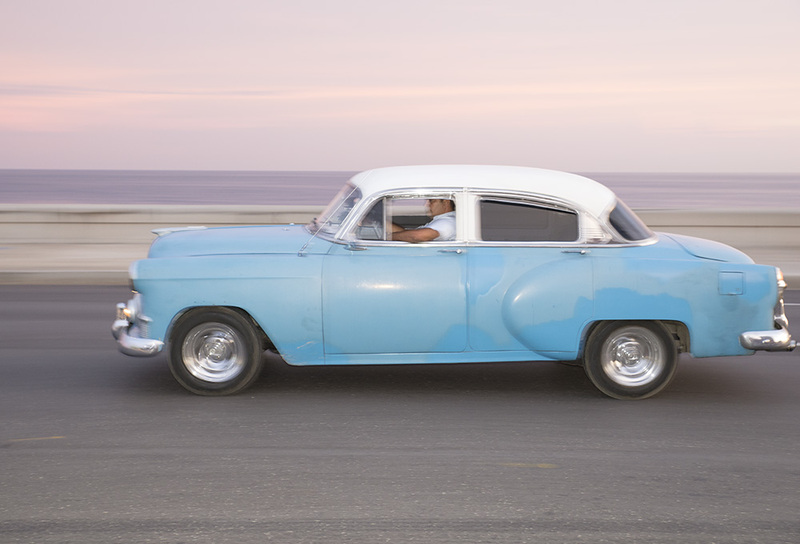 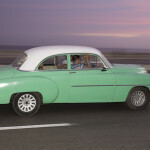 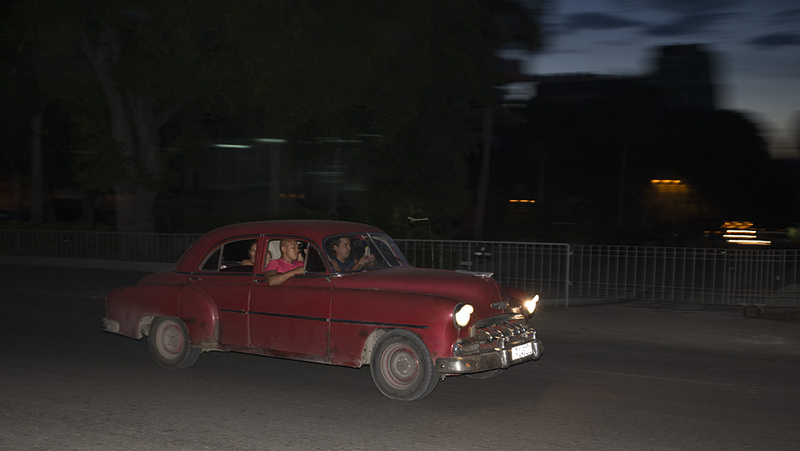 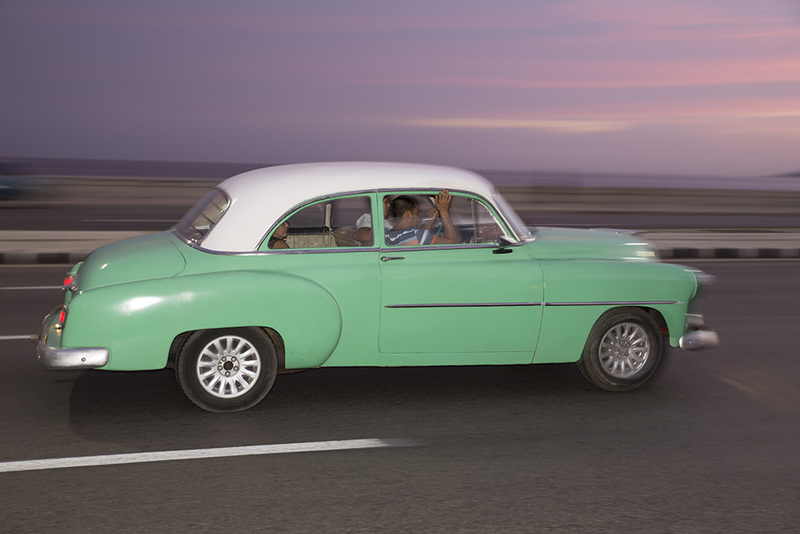 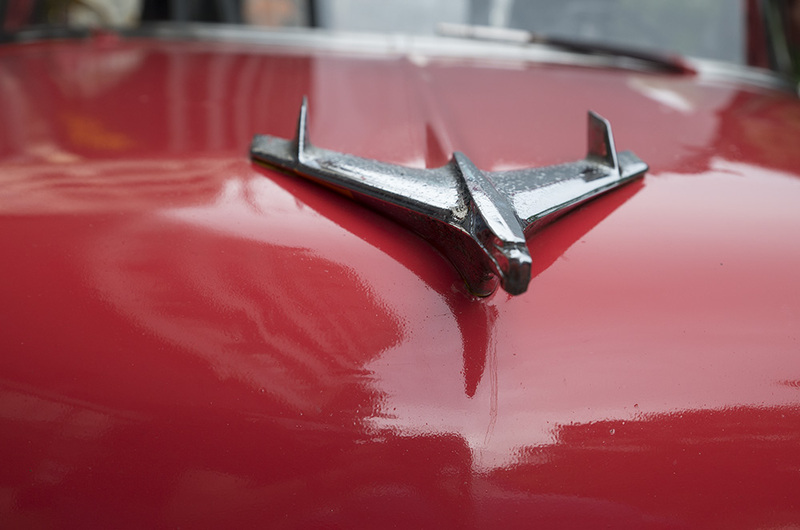 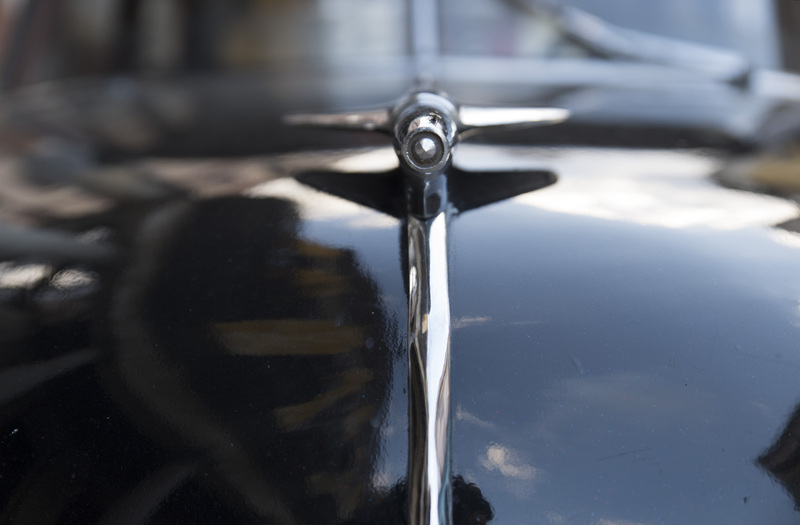 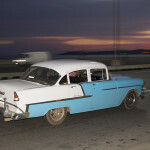 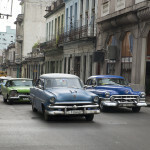 Prior to the Revolution, Cubans were enamored with American cars; the 1957 Chevy was surprisingly debuted in Havana before anywhere in the United States (source). 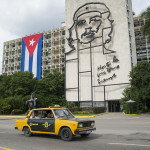 But once Fidel Castro and his communist revolutionaries took power in 1959, they banned the importation of these symbols of American capitalism and excess. 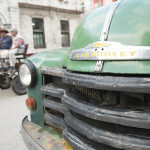 “The Cadillac does not provide jobs for anyone,” he famously stated (source). 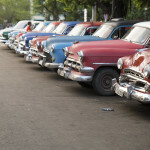 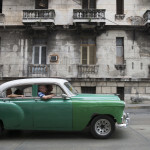 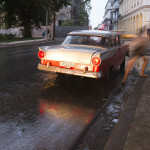 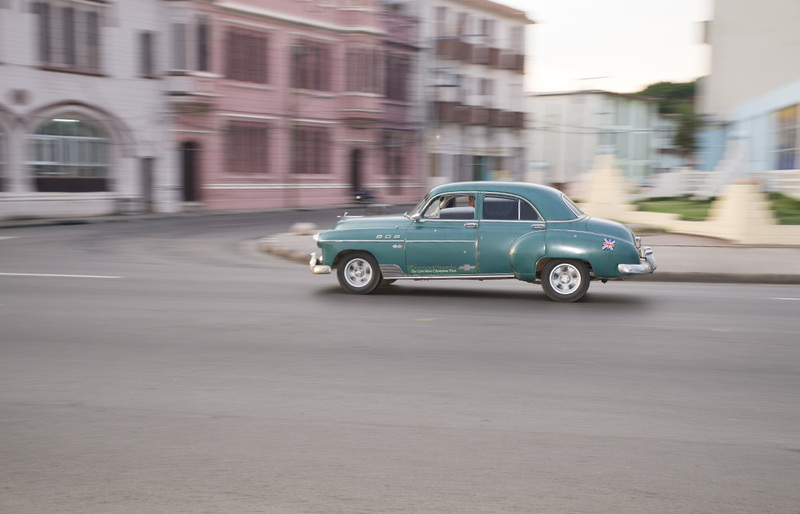 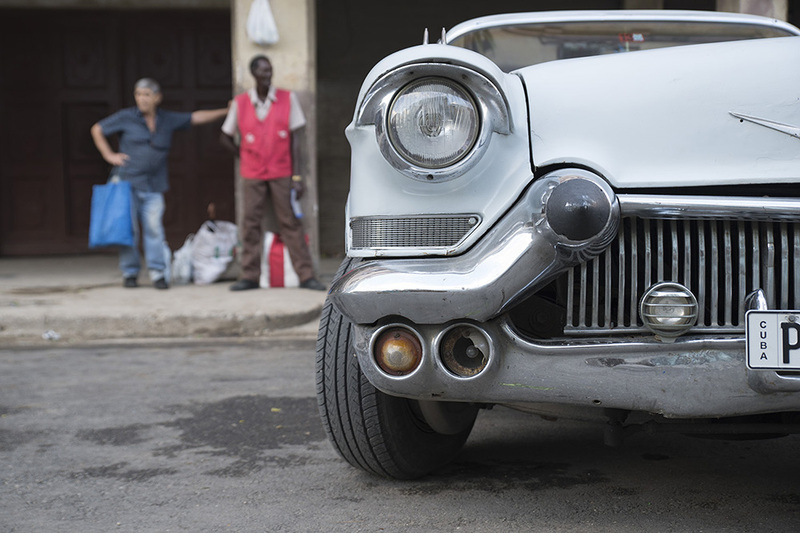 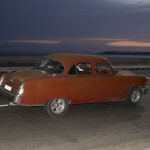 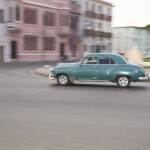 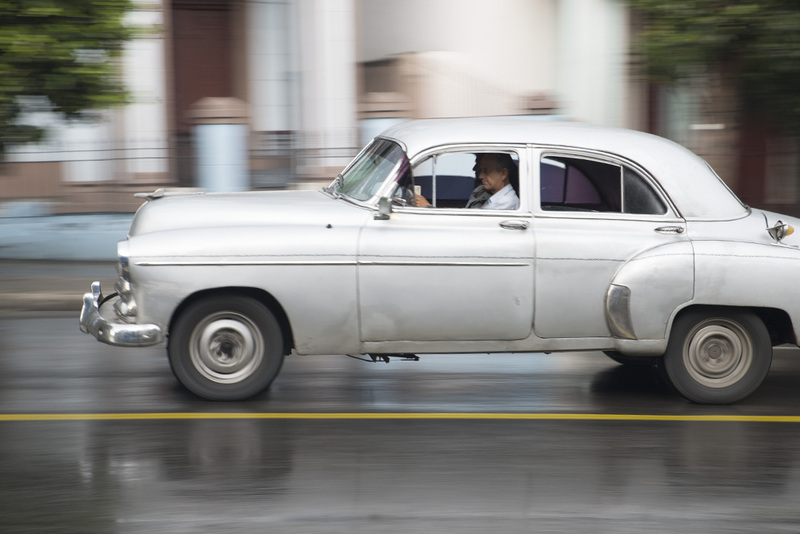 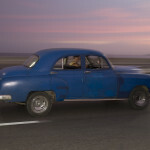 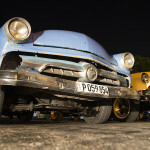 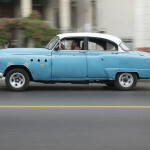 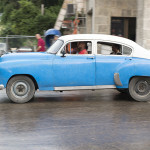 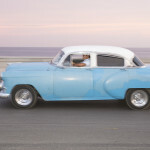 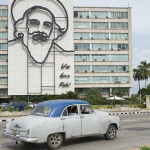 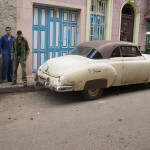 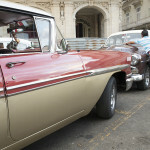 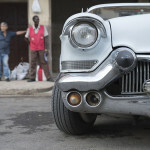 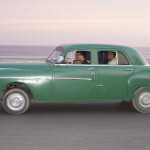 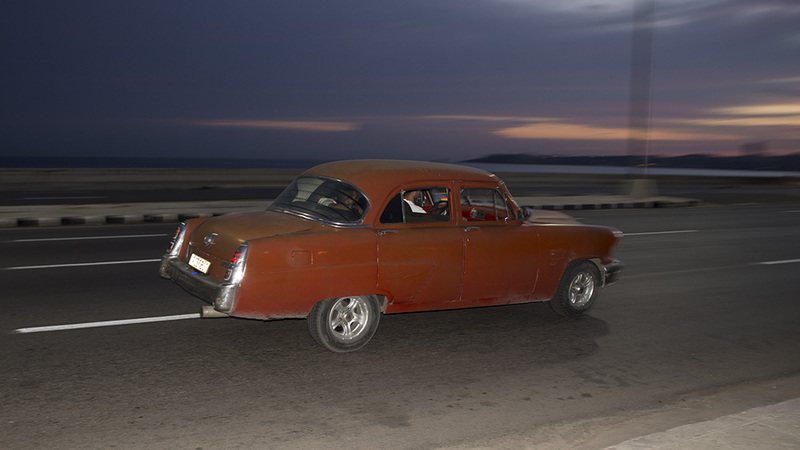 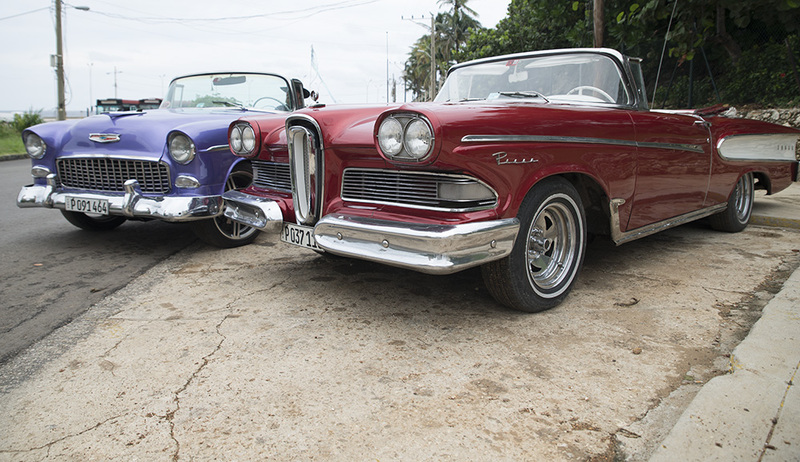 Anyone who owned a car was allowed to keep it, and they stayed in the same hands until 2011 when Cubans were finally allowed to sell their cars to one another (but exporting cars off the island was banned in 2010). 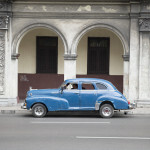 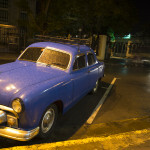 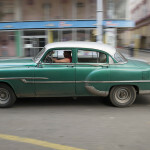 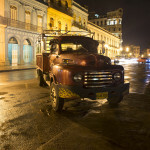 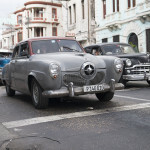 As I prepared for my trip, I considered the possibility that there were only a handful of old, but well photographed, cars in Cuba. 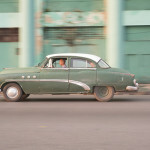 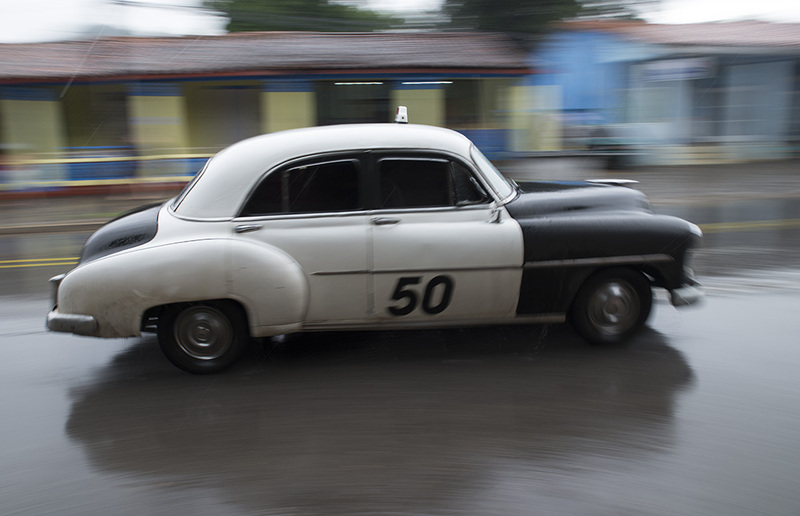 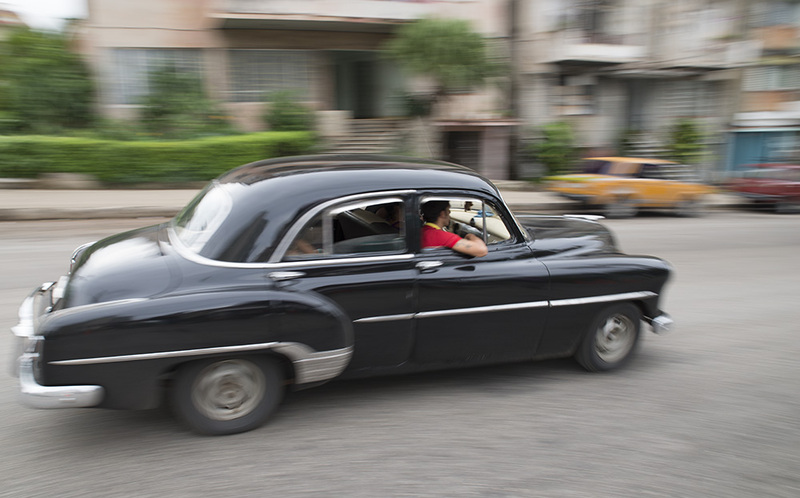 I shuddered at the thought of the streets of Old Havana clogged with Civics, Sonatas, and Sorentos. 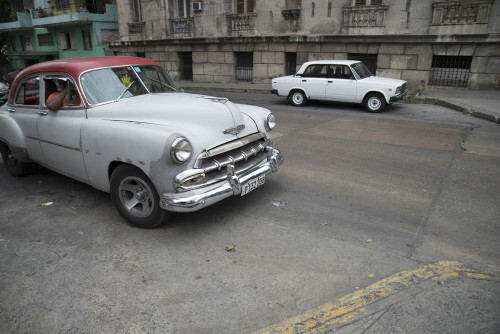 Taxis await customers in Old Havana. 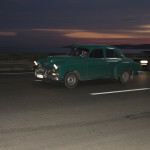 We landed in the Havana airport at night. 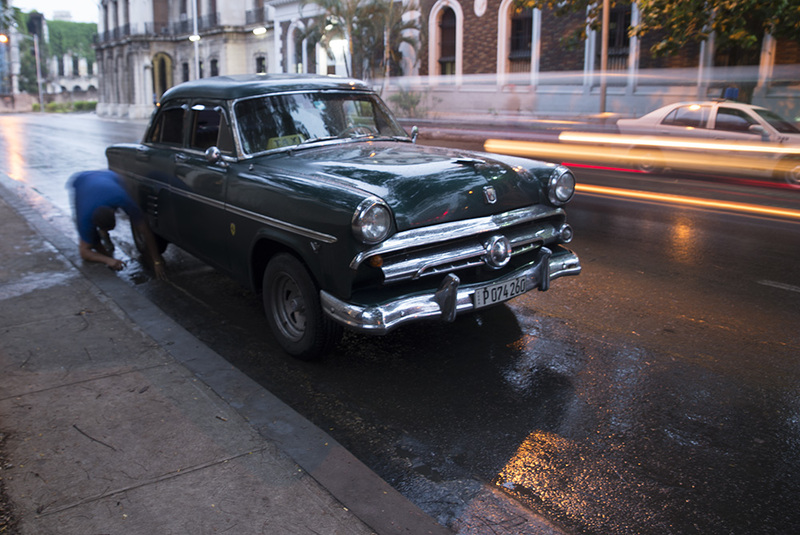 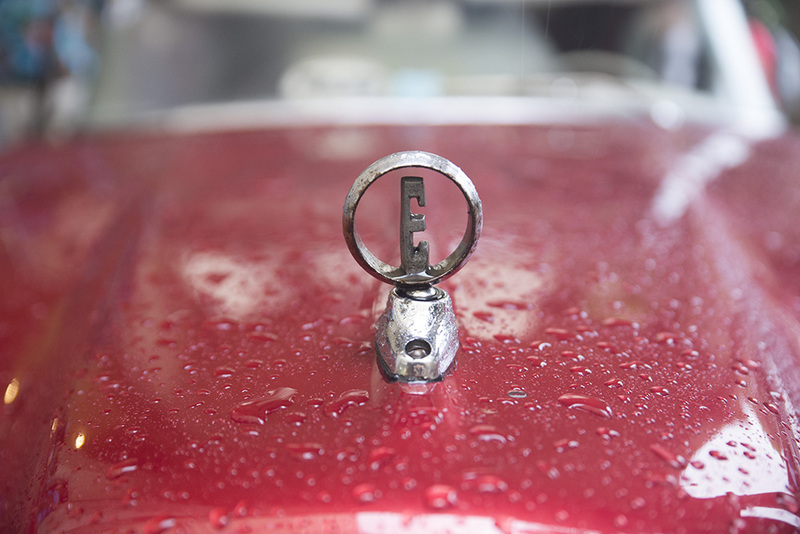 Once we got outside, the air – still thick with the day’s humidity – was permeated with the faint scent of fumes from poorly maintained engines. 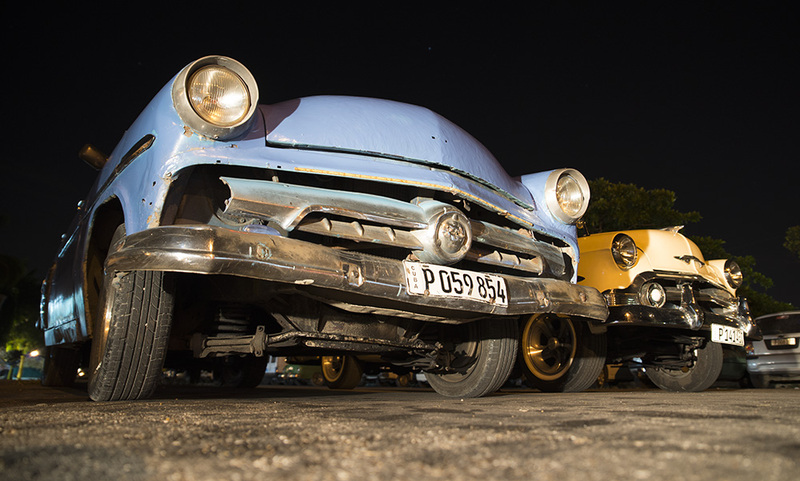 A few of the culprits rested in the sparse airport parking lot. 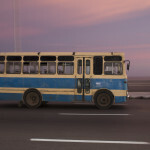 On the drive to our hotel that night, and the following morning on the trafficked malecon, it was clear that these steel behemoths were common (60,000 on the island by some estimates – source). 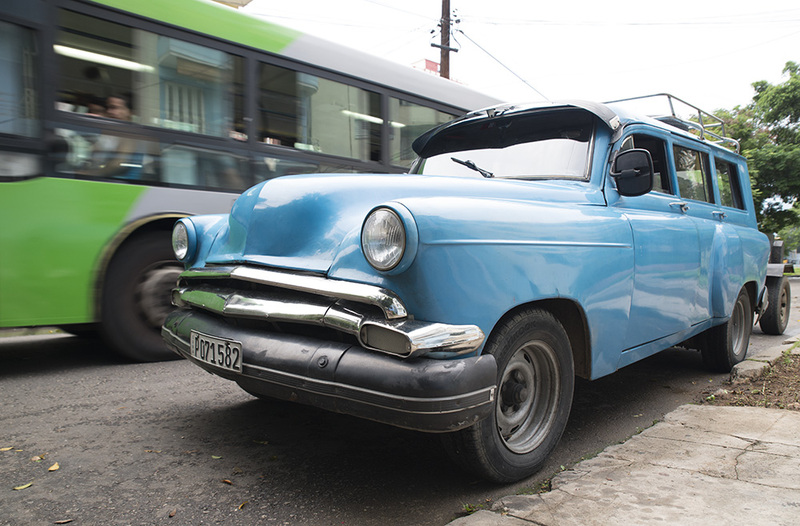 It’s as if, a half a century ago, the factories of Detroit spewed onto the Cuban streets and then quickly retreated, taking the necessary spare parts infrastructure with them (following the U.S. trade embargo of 1962). 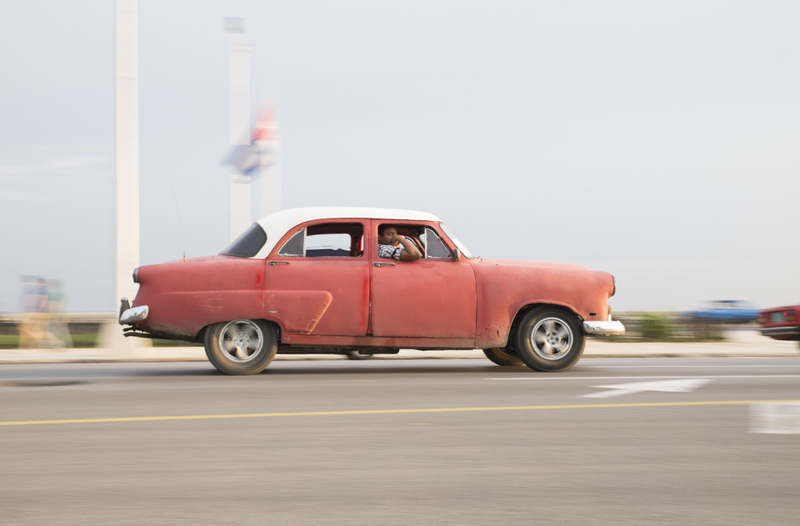 Faced with no alternatives, car owners have relied on ingenuity and resourcefulness to beat off an unrelenting attack from salty air and poorly maintained roads. 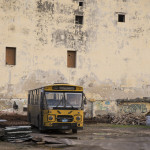 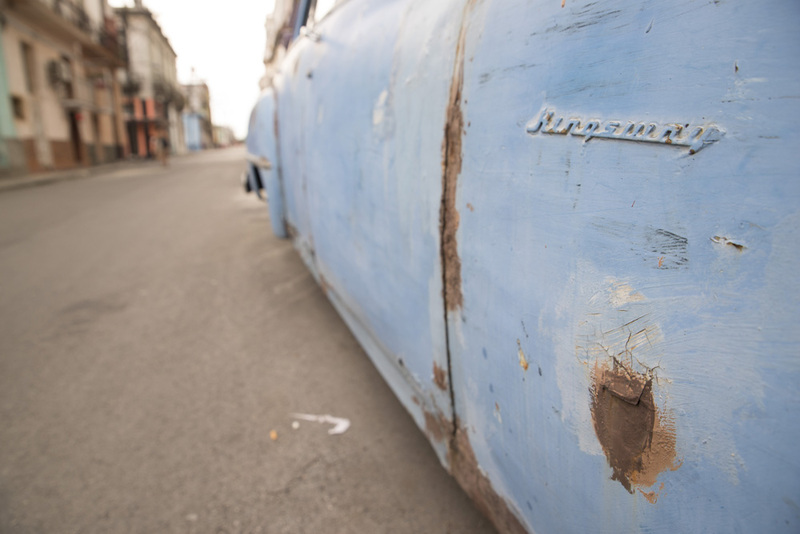 Duct tape, chicken wire and retrofitted Russian and Asian parts – including cheaper diesel engines – are not uncommon. 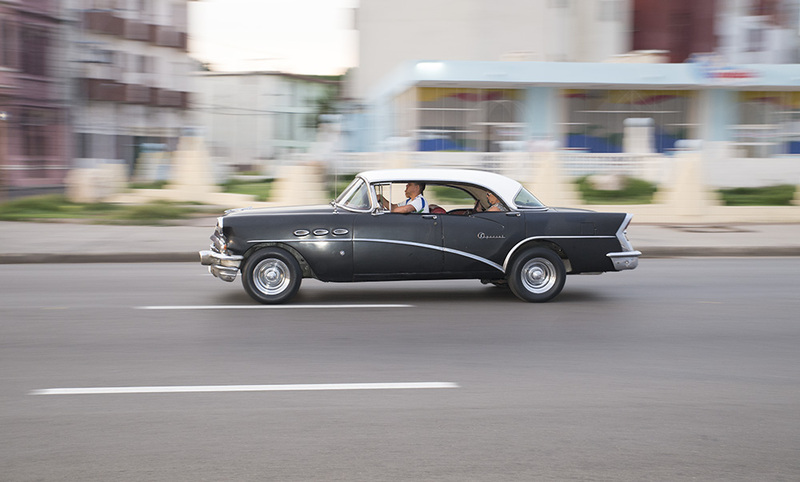 So there are a lot of classic American cars in Cuba. 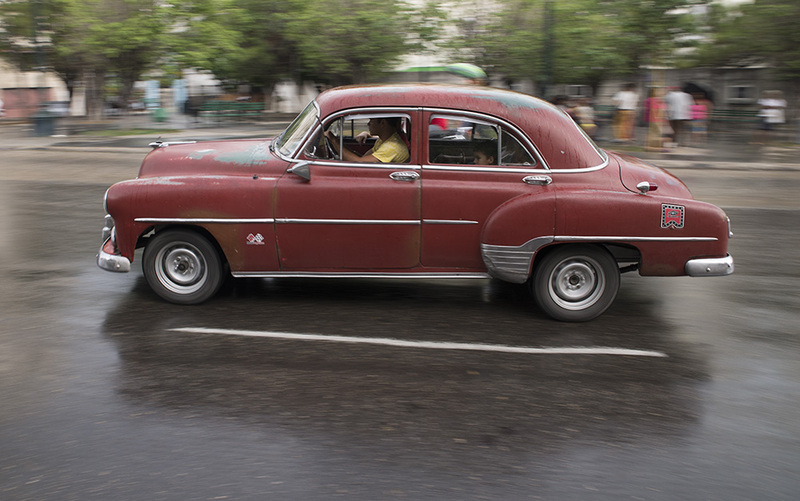 But not all of the cars in Cuba are classic. 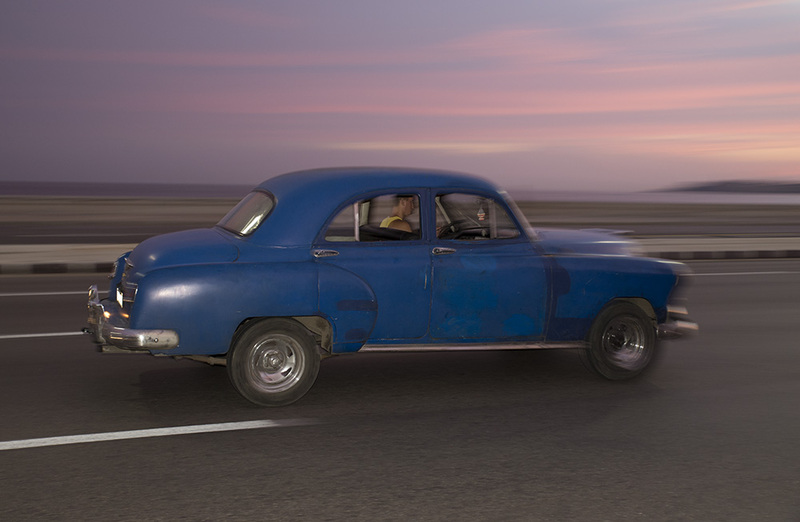 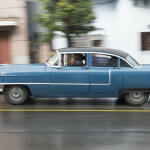 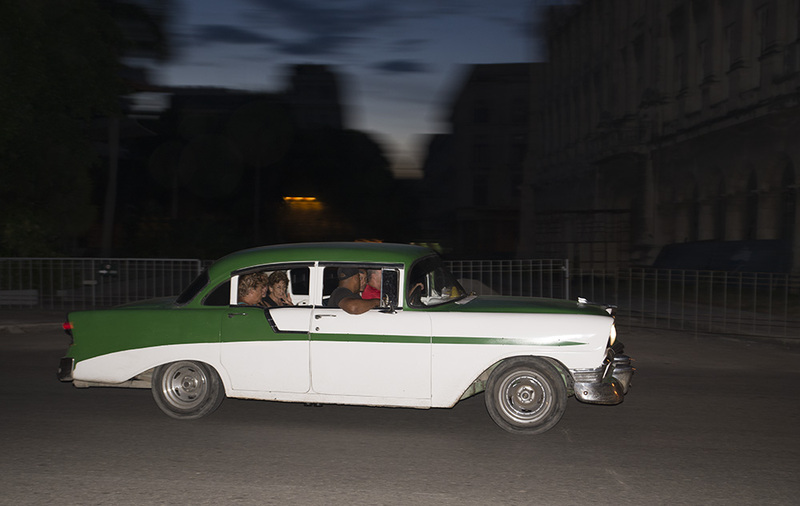 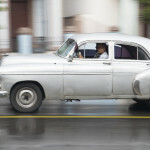 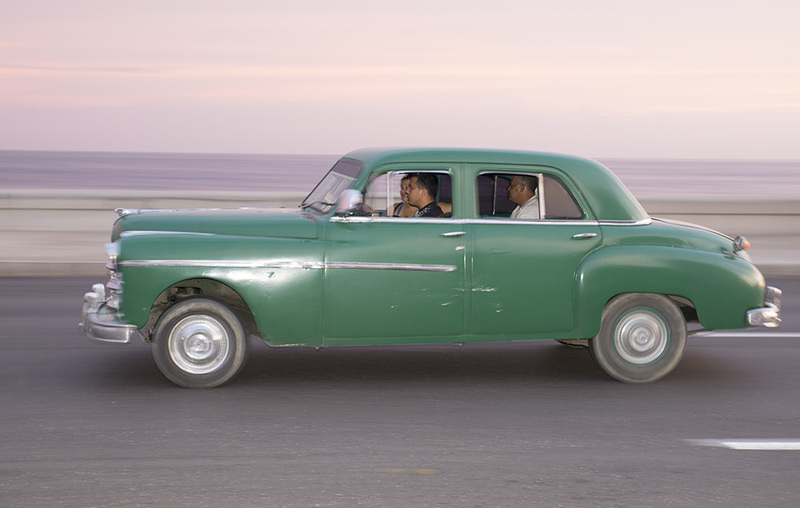 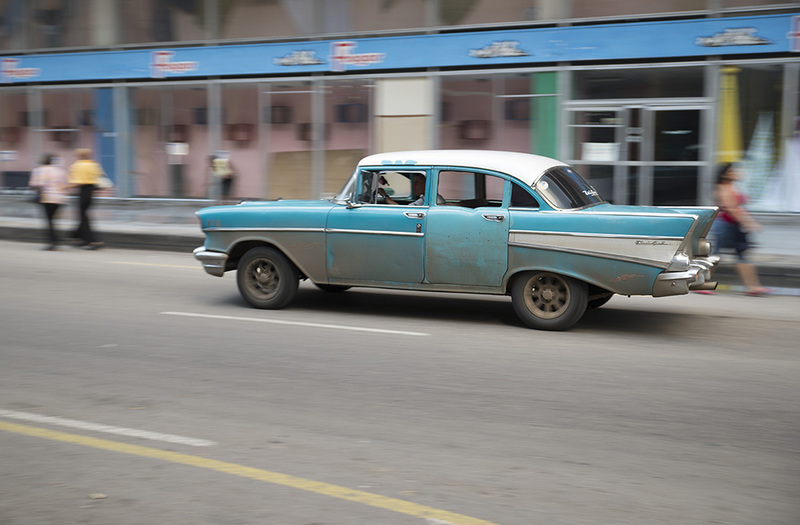 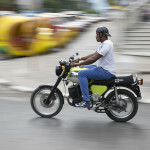 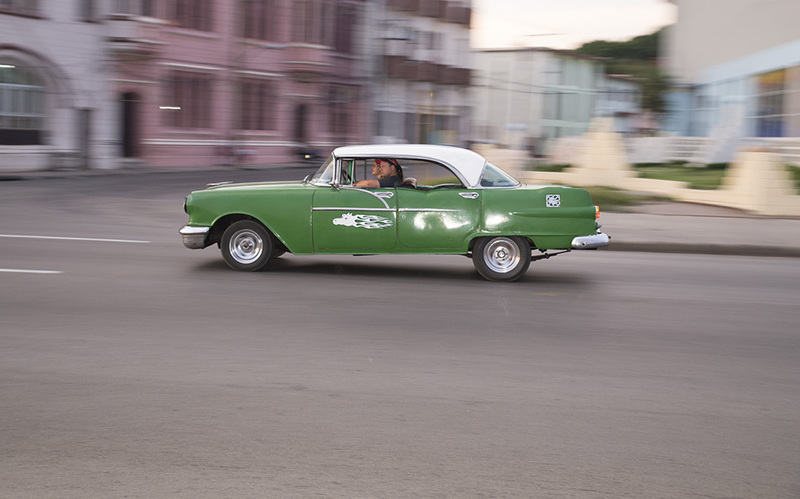 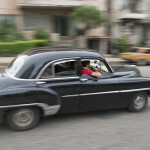 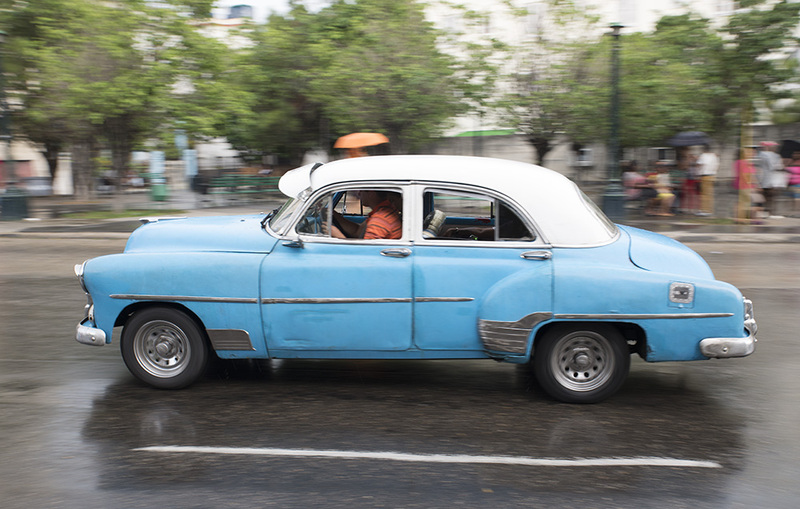 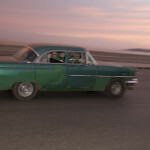 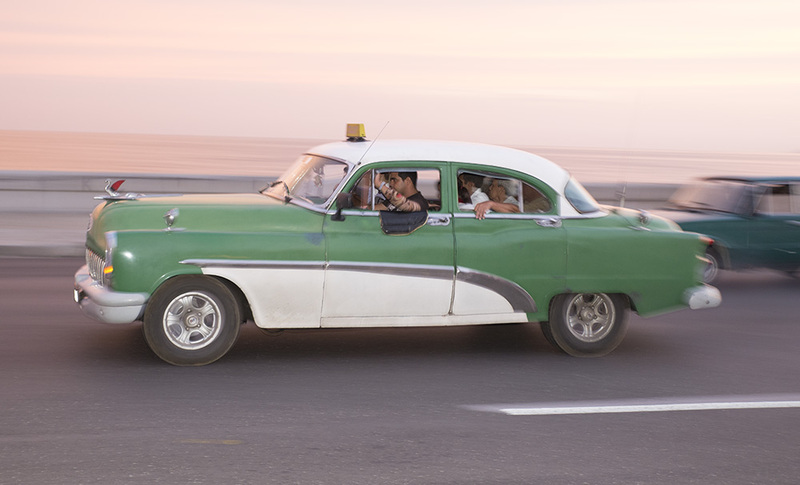 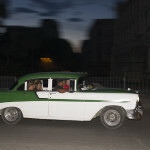 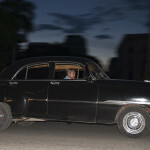 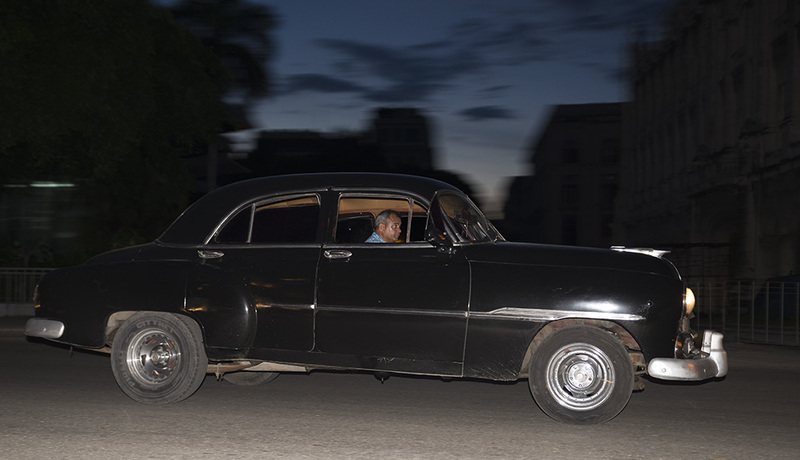 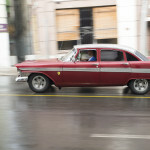 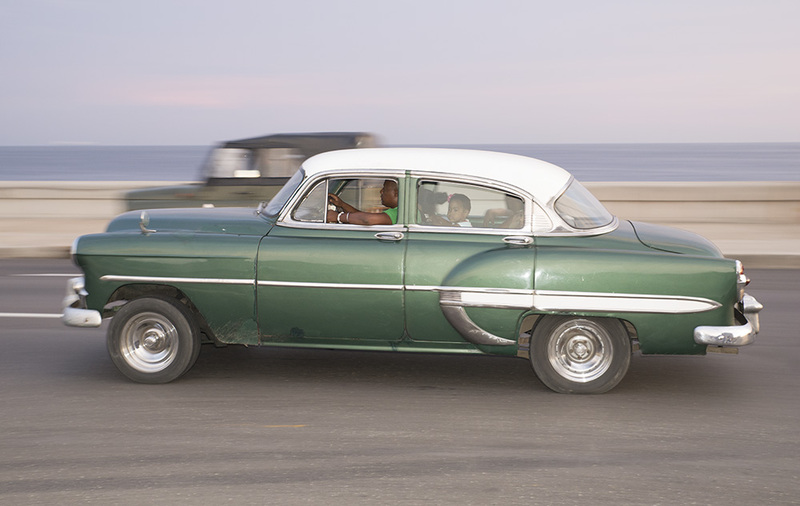 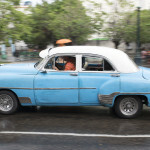 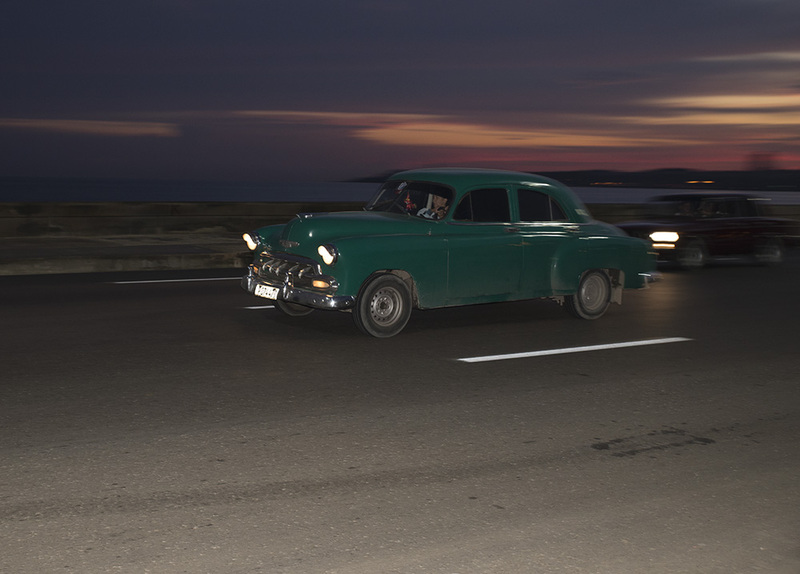 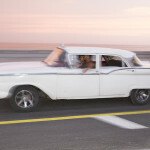 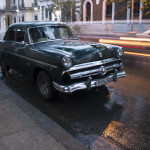 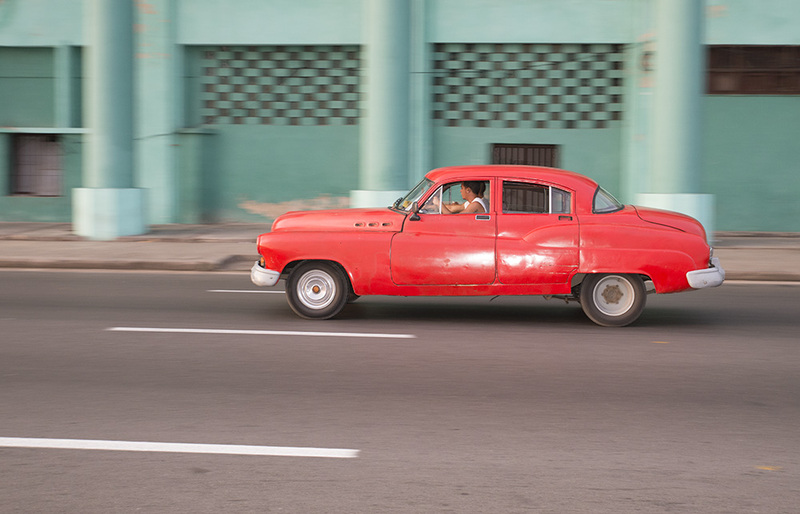 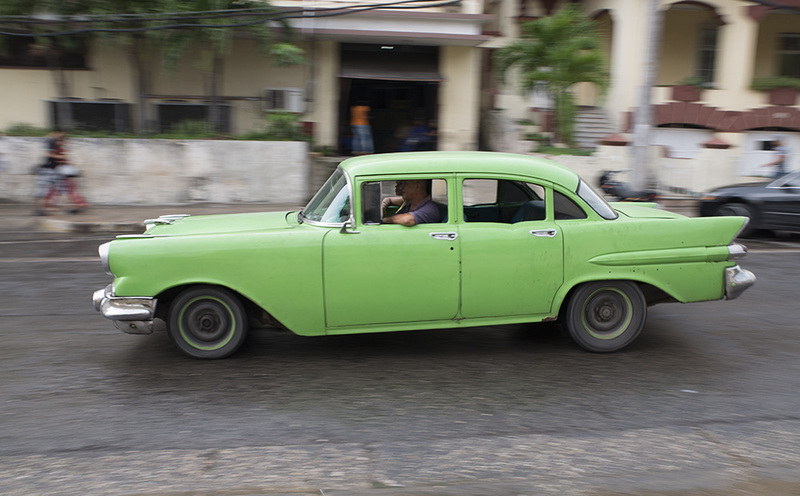 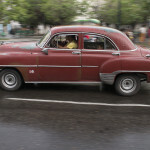 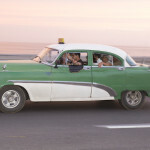 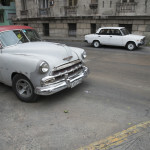 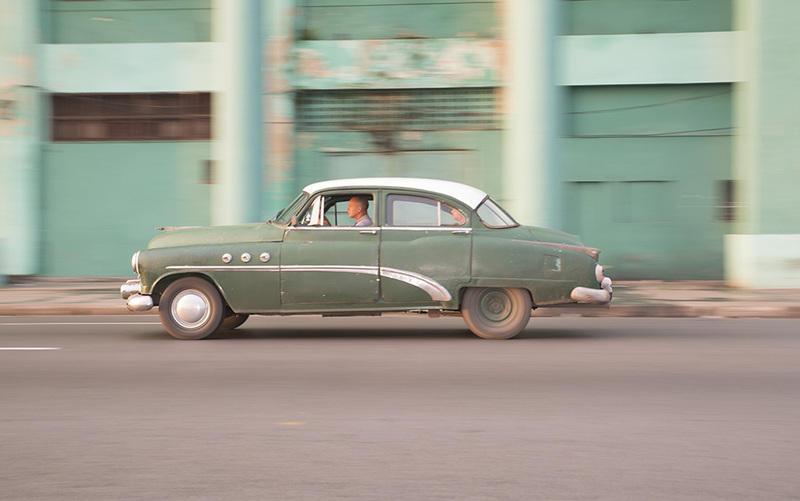 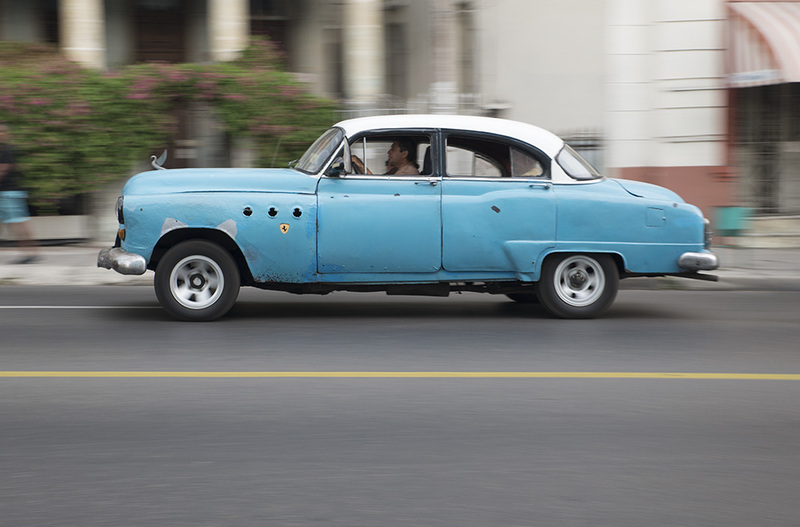 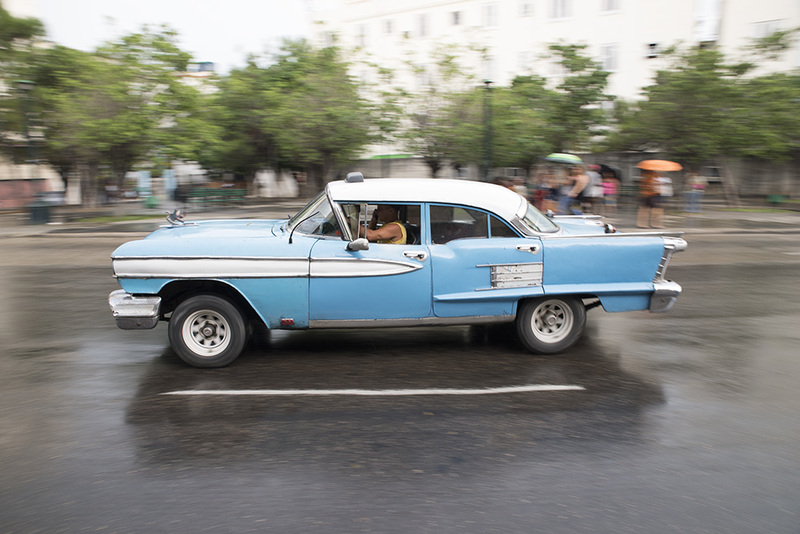 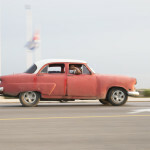 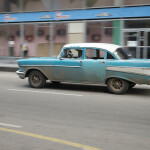 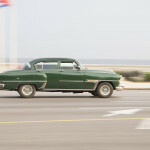 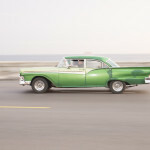 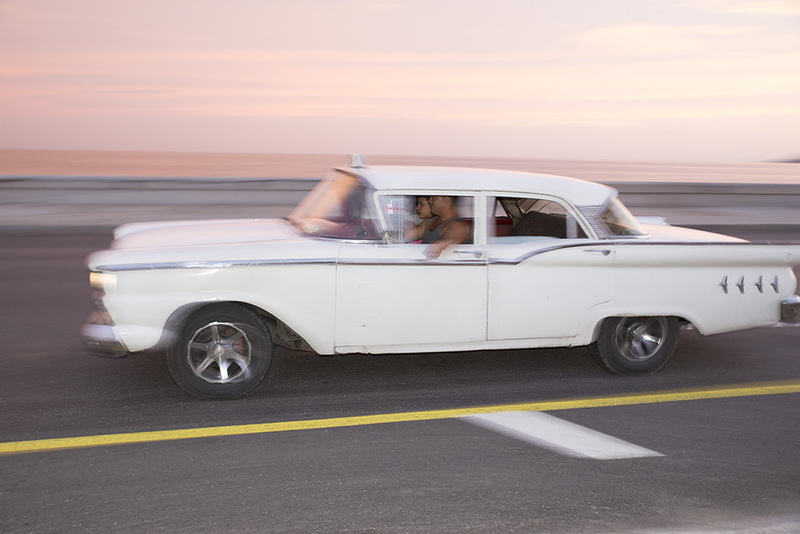 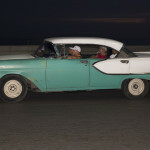 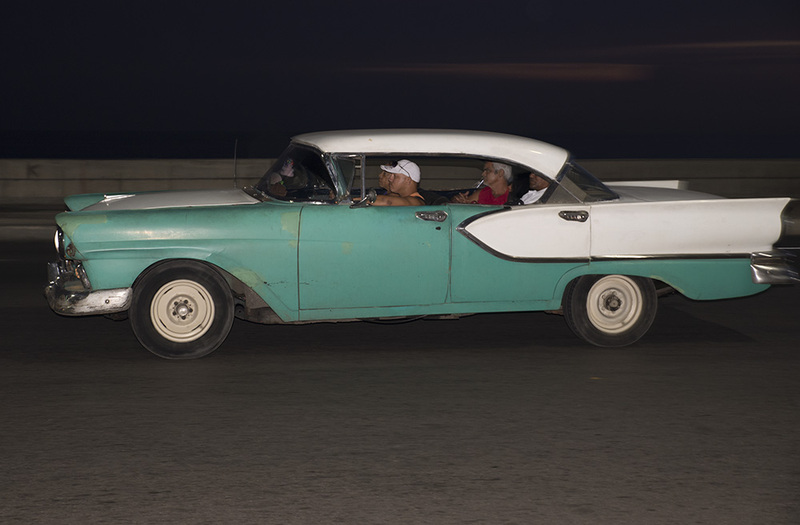 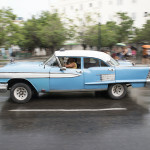 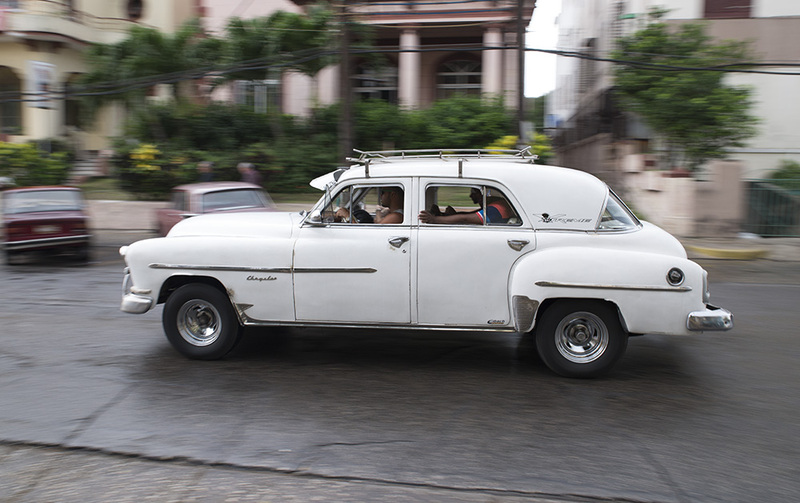 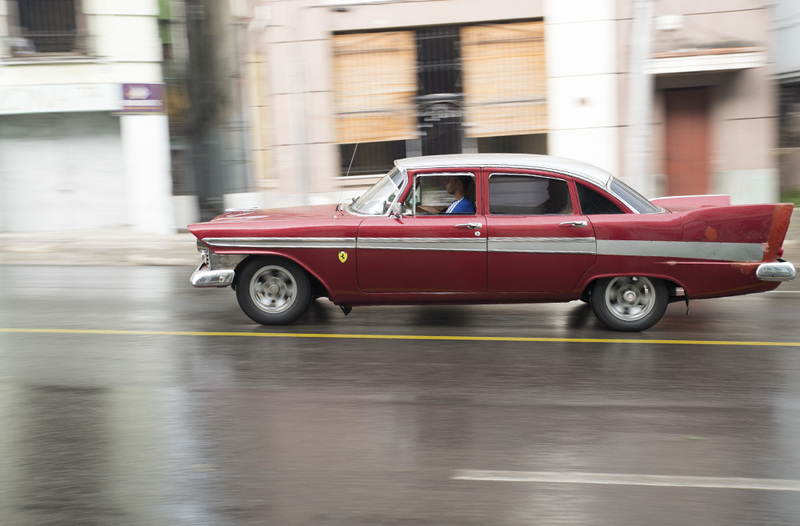 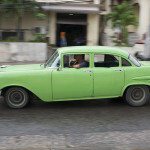 Watching passing cars on the malecon, a four lane arterial that runs down Havana’s waterfront, it looked like half were pre-1959 American classics, many serving as communal taxis. 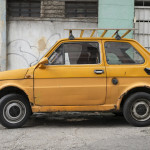 The remaining half were predominantly Soviet-era Ladas and Moskvitchs from the 1980’s, followed by more recent models from Asia. 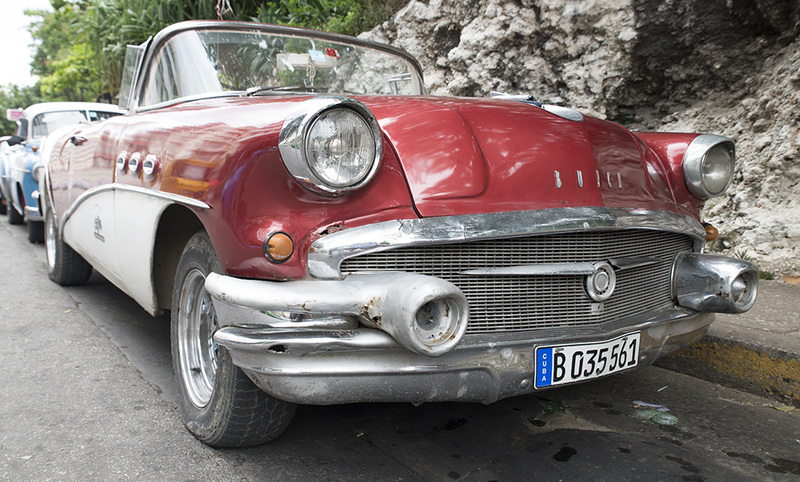 Very rarely, a new Audi or BMW would float by, lacking the cacophonous rattles of its aged counterparts. 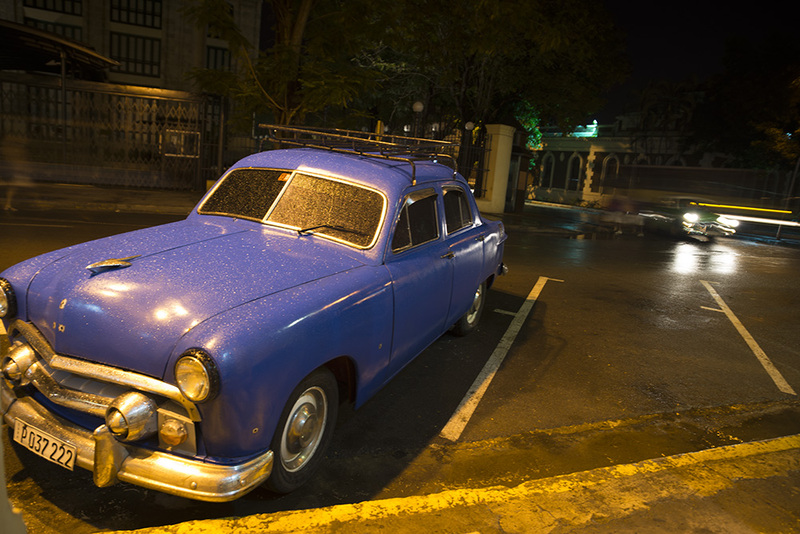 After seeing hundreds of sun-worn cars, the gleam of a fresh paint job stands out like, ahem, a pasty tourist in the Caribbean. 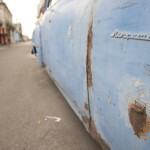 Famous artists and politicians can apply for a permit to import a new car from Europe or Asia, as well as doctors once they’ve completed their five-year mission in Haiti, Venezuela, or Africa. 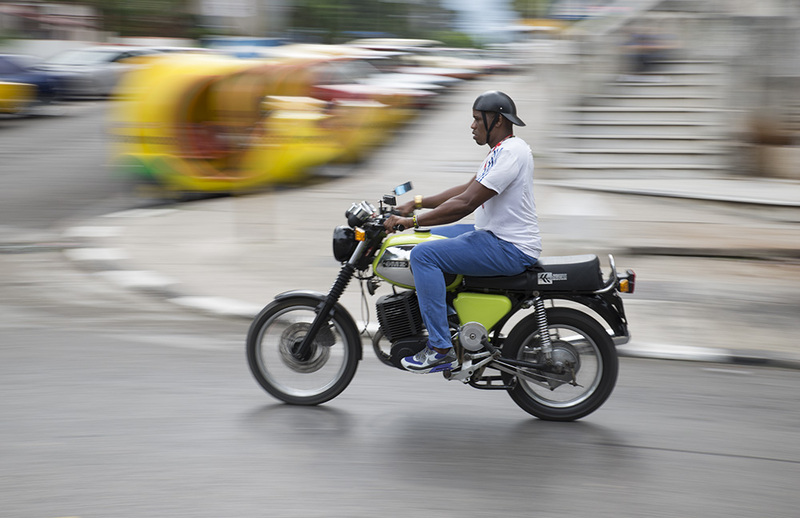 Athletes can get a permit every four years. 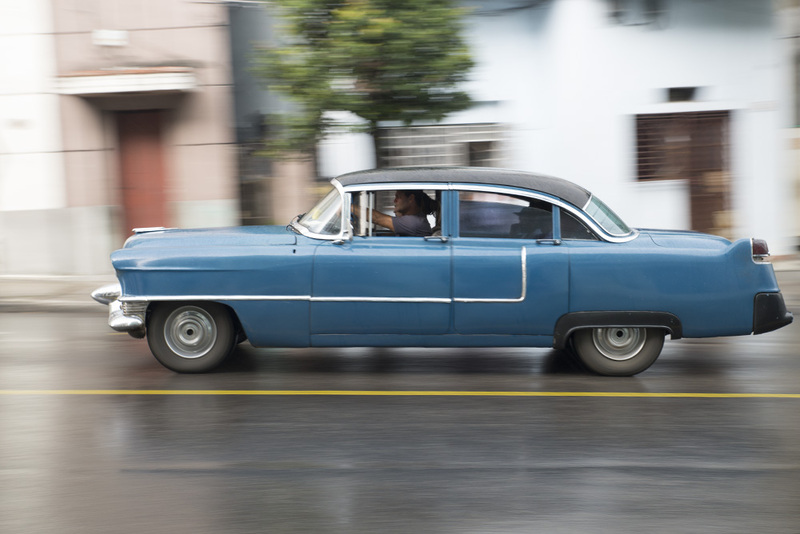 These cars are sometimes available for sale on the open market, but the supply/demand curve can make them prohibitively expensive: I heard of a four-year-old Audi that recently sold for $155,000. 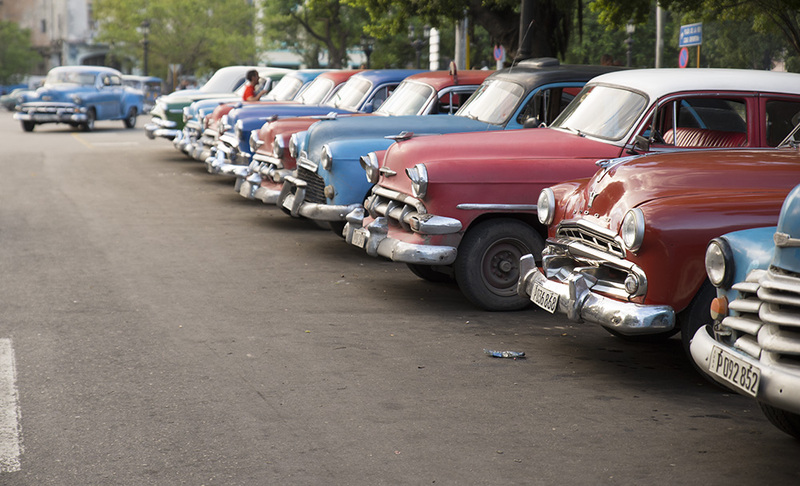 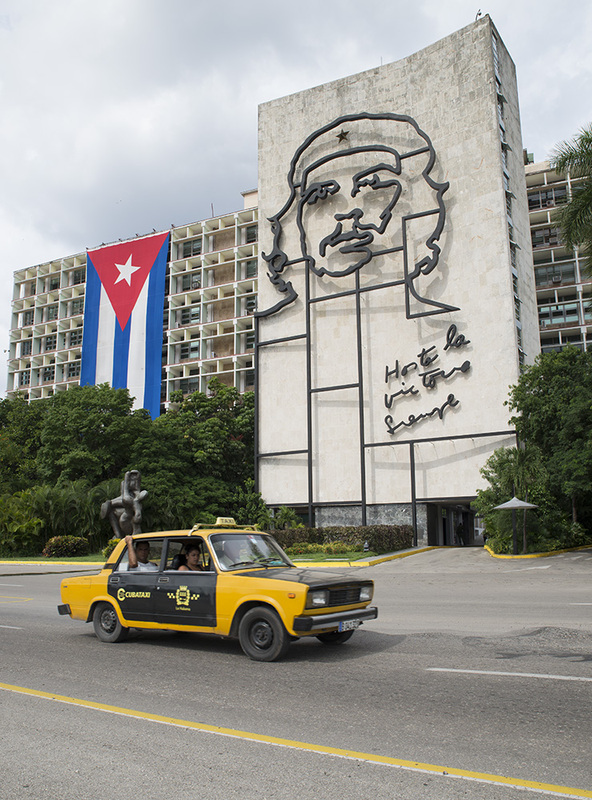 Cars imported by the Cuban government – who actually owns half of the 650,000 cars on the island (source) – are sometimes available for purchase used at a 400% mark-up. 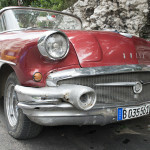 Ford with “Continental Kit” at a gas station in Havana. 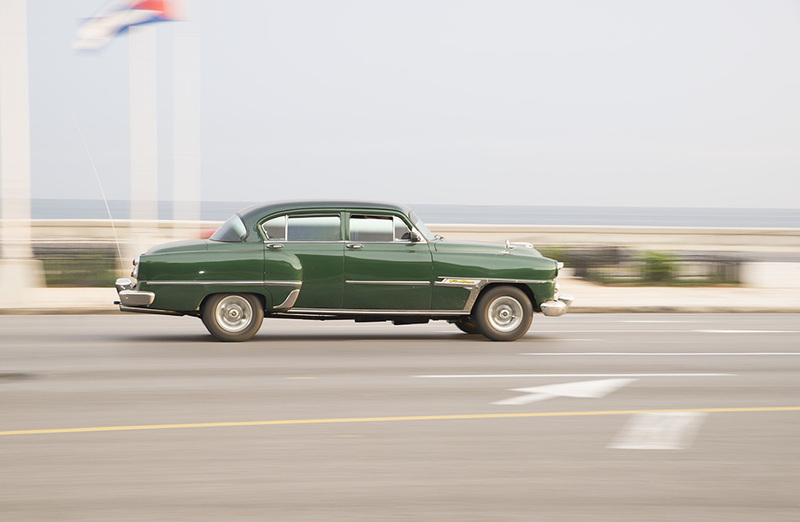 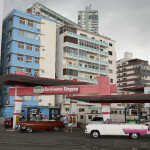 Even if a Cuban can afford to buy a car, they will also have to buy gasoline that hovers dangerously close to six dollars a gallon. 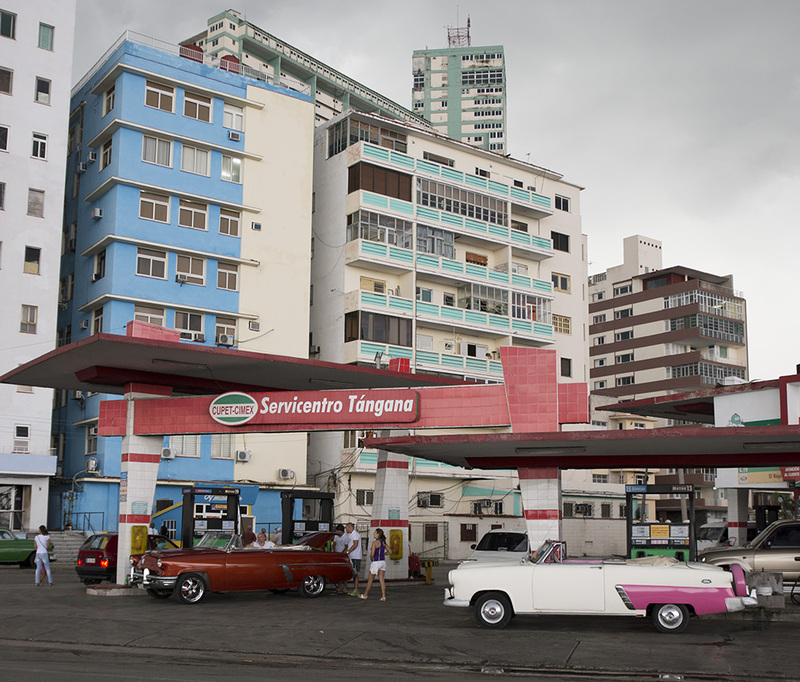 This is almost criminal considering that the Cuban government receives “cut-rate oil” (source) from its largest foreign benefactor, Venezuela (home of the cheapest gas in the world at pennies a gallon – source). 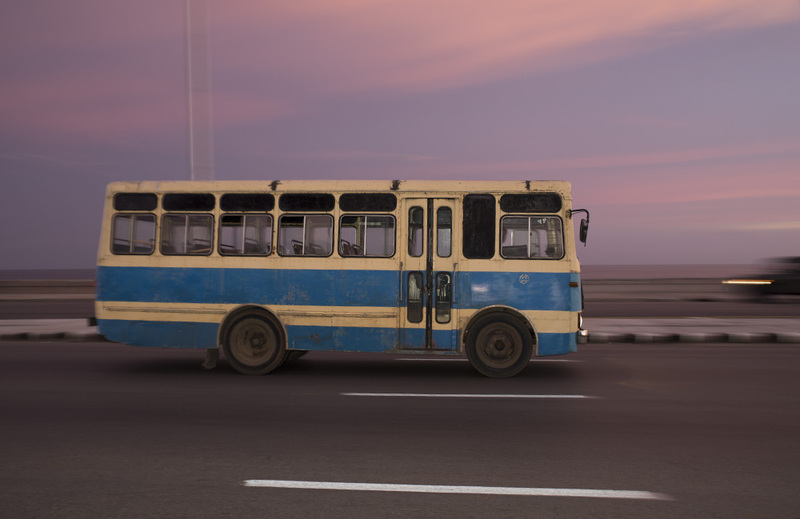 Such restrictions ensure that, in a country where the average person makes $20 a month, only one in 10 can afford to own a car (source). 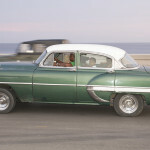 Why place so many restrictions on car ownership? 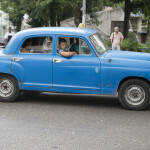 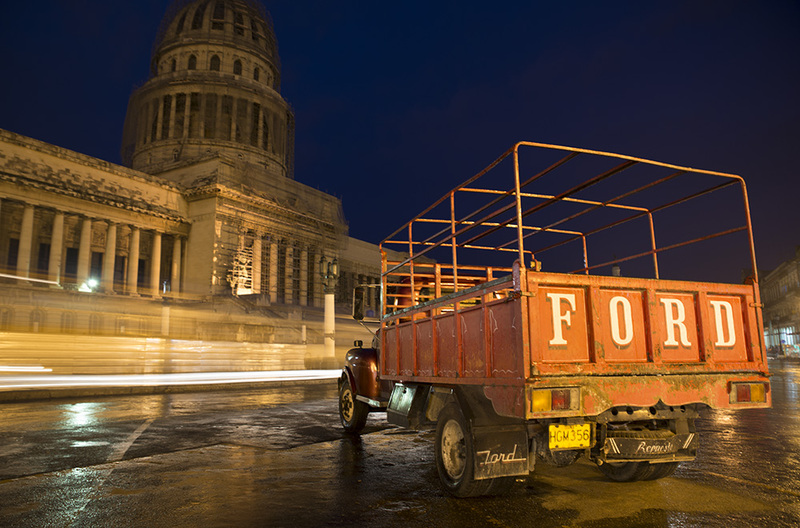 To the cynic, reducing mobility restricts the flow of ideas and independence, ensuring continued dependence on a government that employs 4 out of 5 Cubans (source). 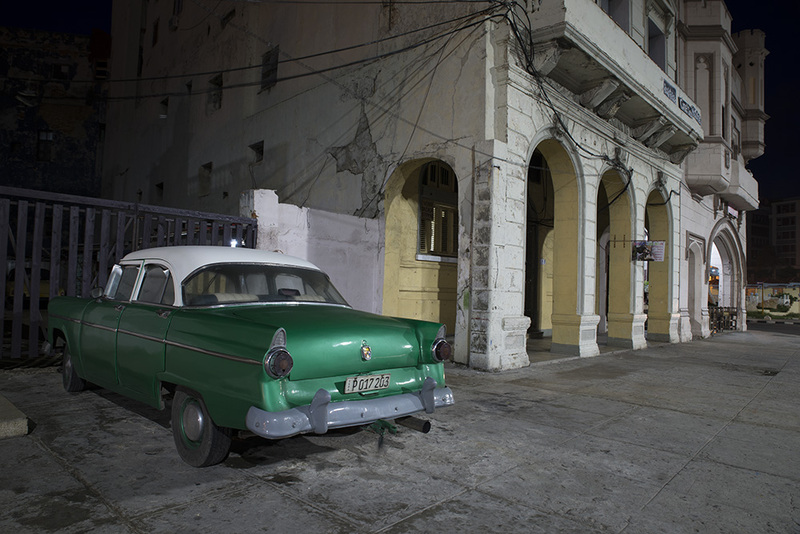 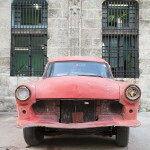 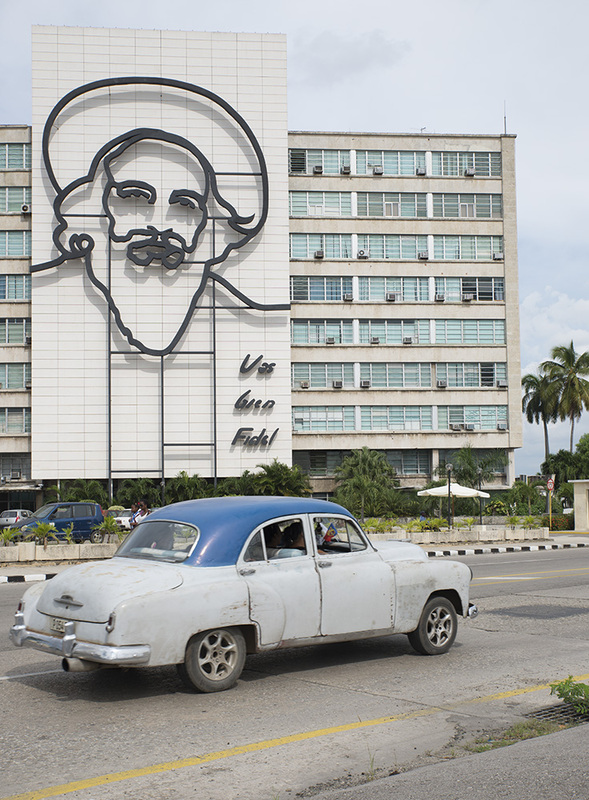 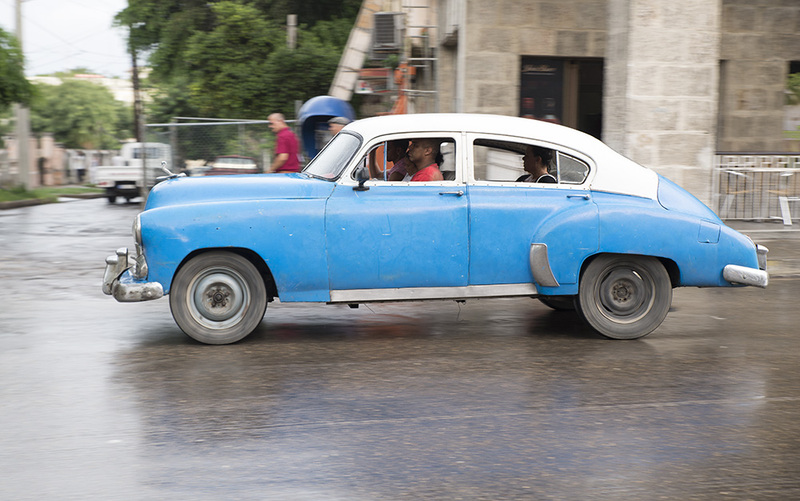 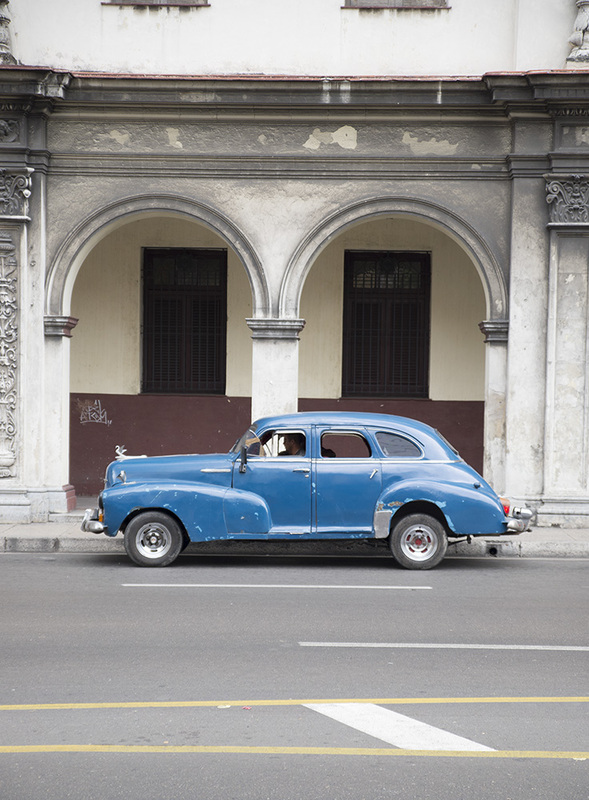 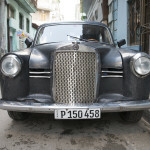 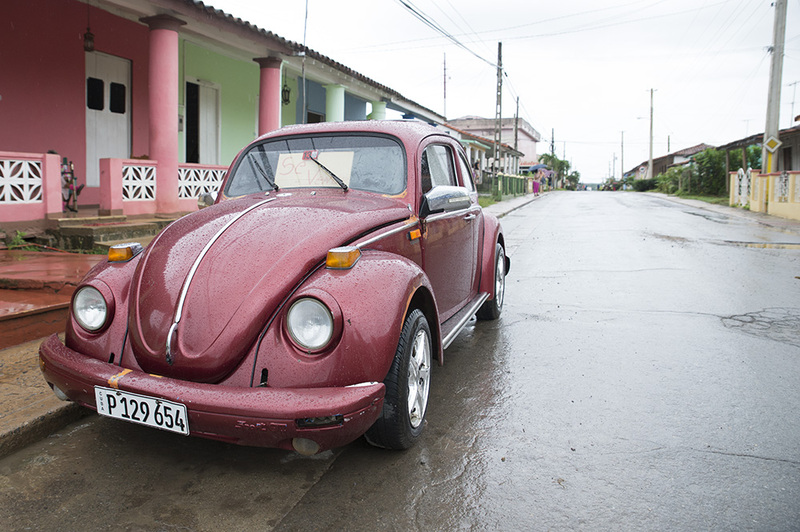 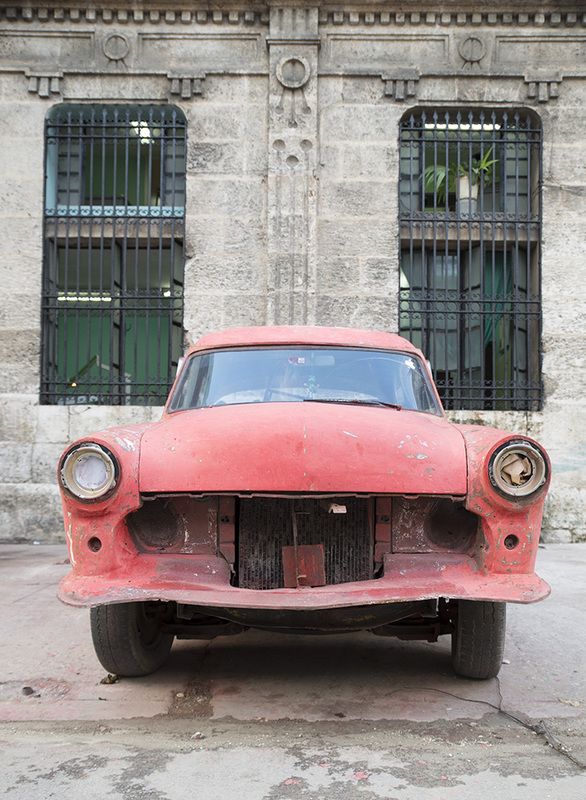 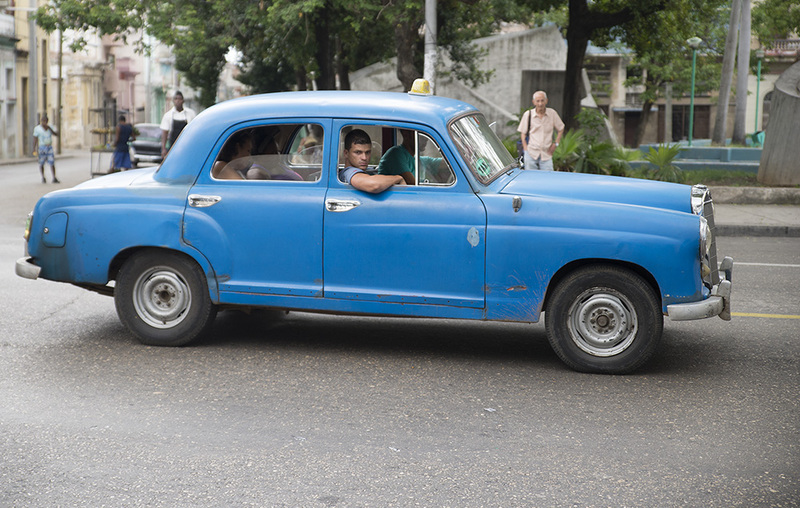 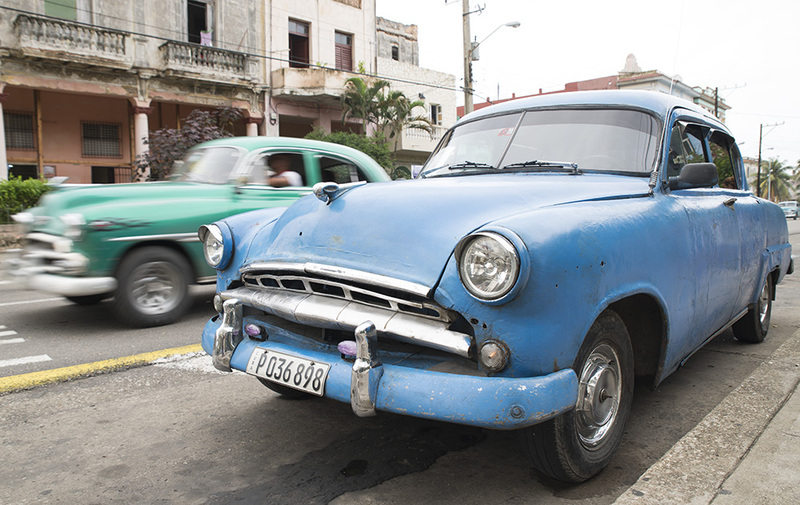 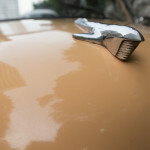 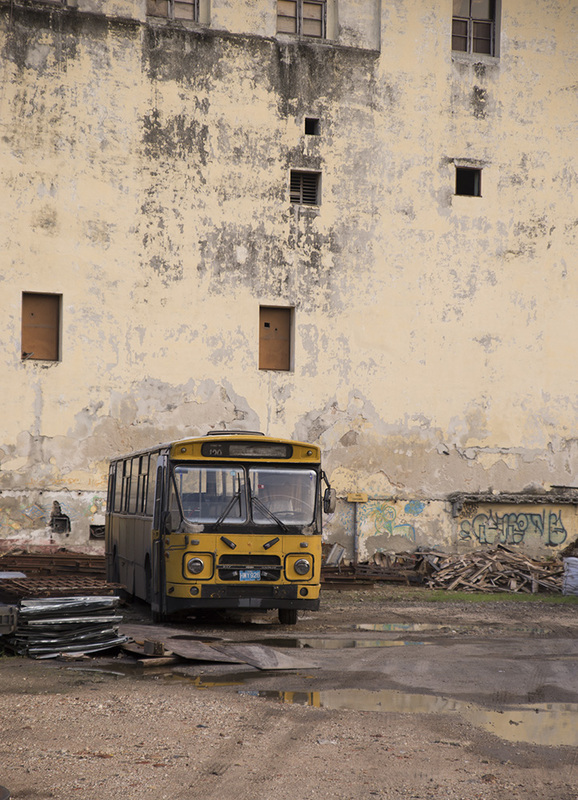 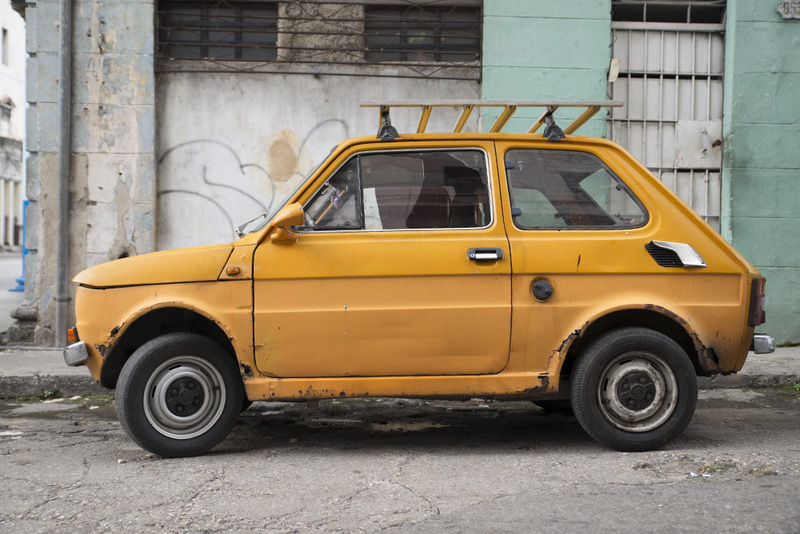 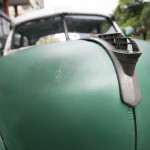 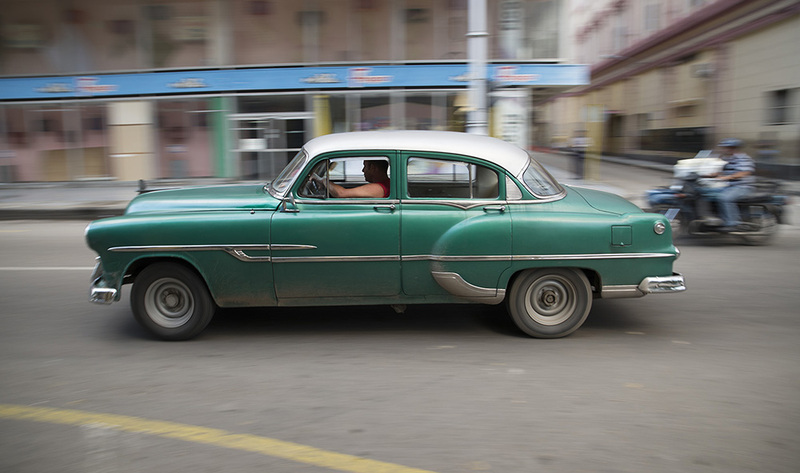 No matter the reason, it’s clear that cars in Cuba, despite their weathered appearance, are a luxury. 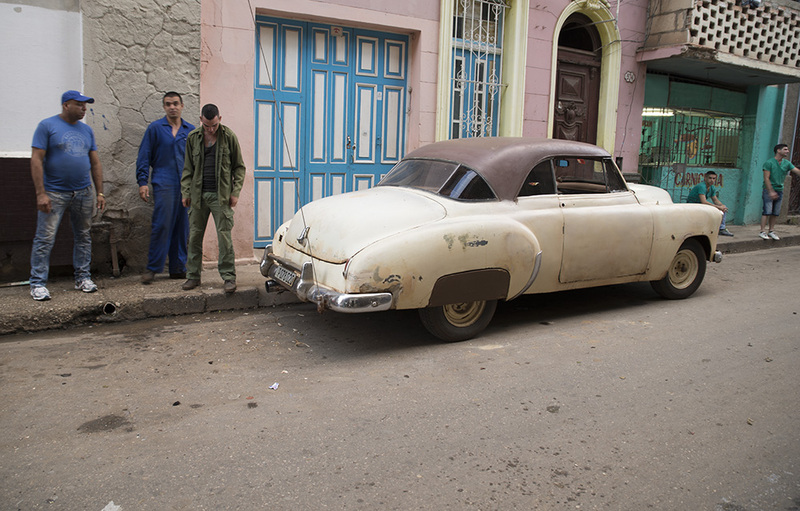 And they are lovingly maintained out of economic necessity, not just nostalgia. 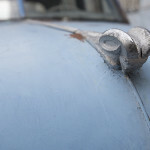 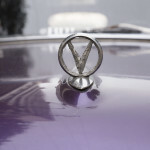 But I hope the owners of the cars I photographed know how much I appreciated their work. 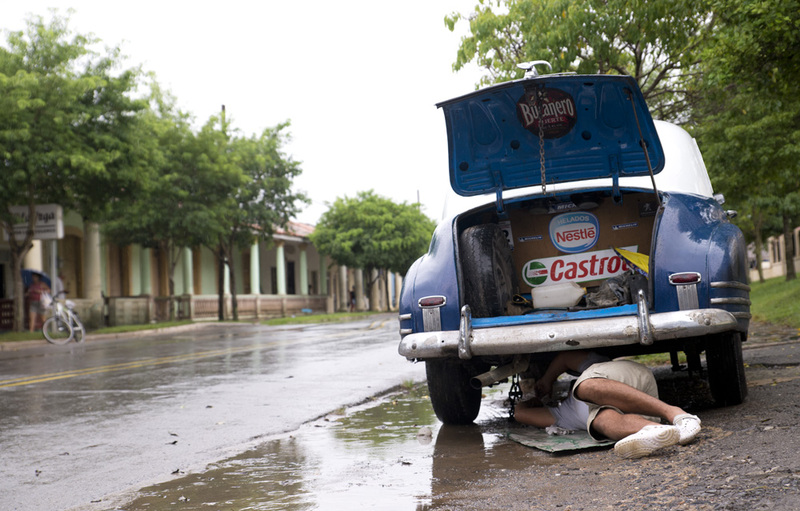 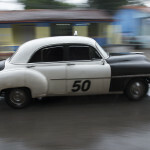 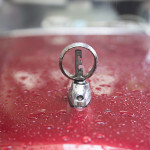 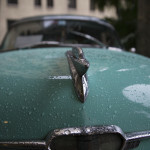 A driver fixing his late 1940’s GMC during a downpour in Vinales. 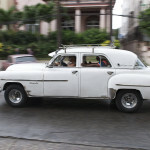 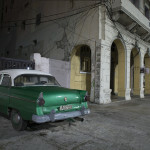 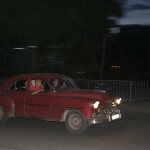 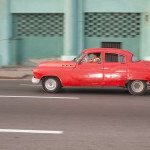 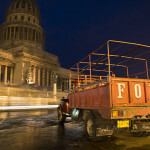 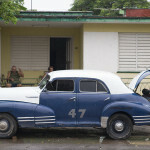 The images below are mostly from Havana, with a couple from the countryside town of Viñales. 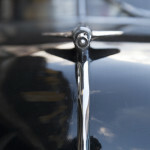 Being a novice, I posted them to my Facebook page where several people (all over the age of 60) had a field day. 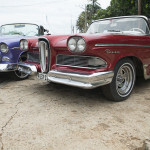 Ultimately, I can’t take credit for identifying these cars, but if you notice any errors, please let me know.